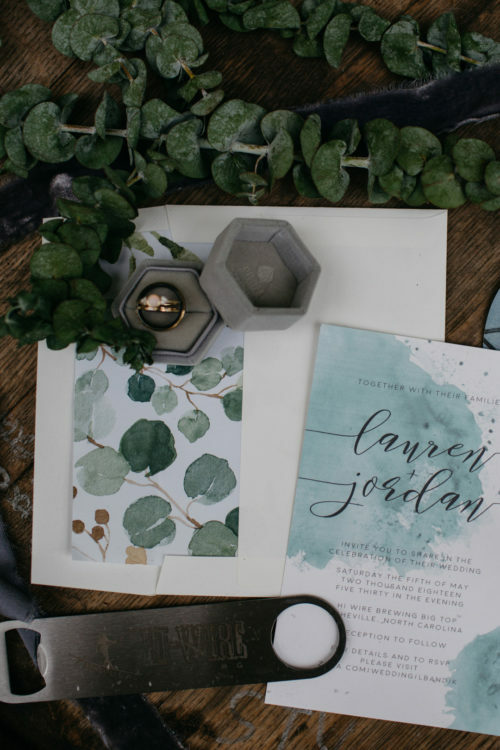 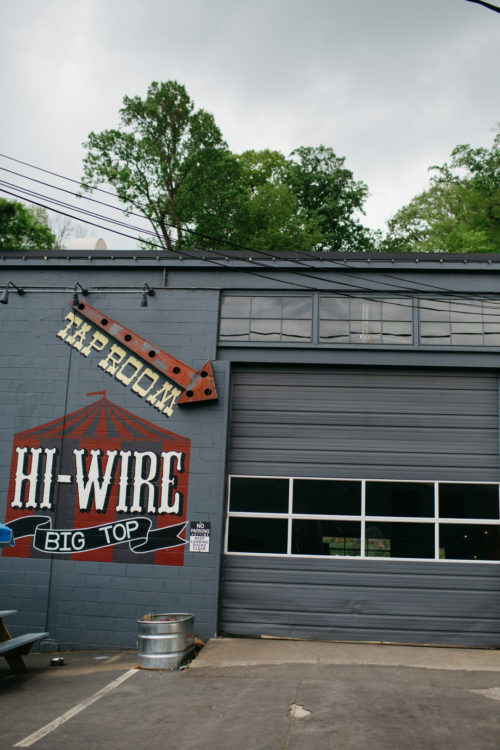 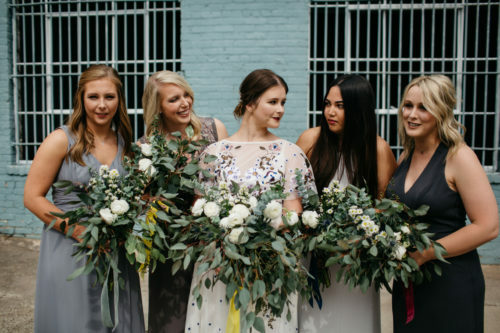 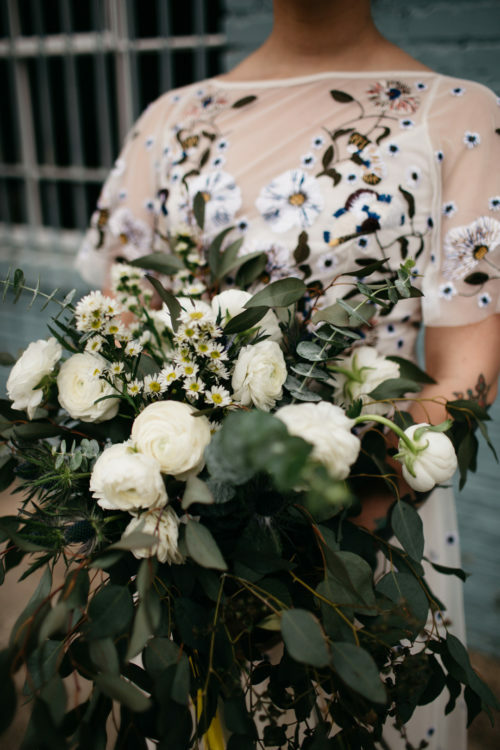 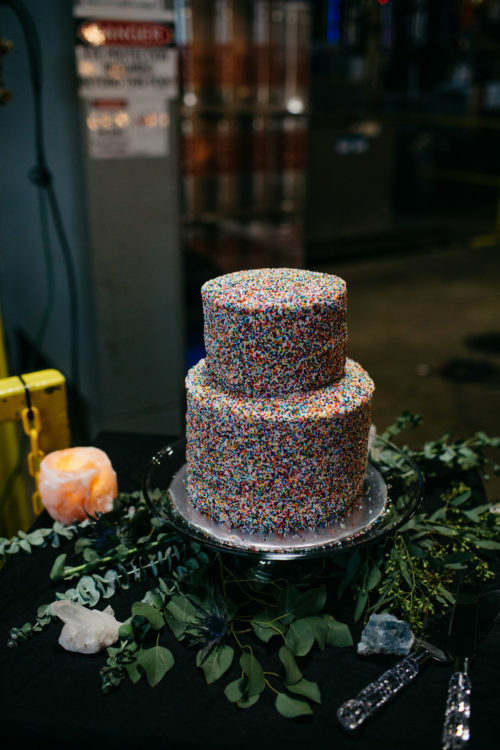 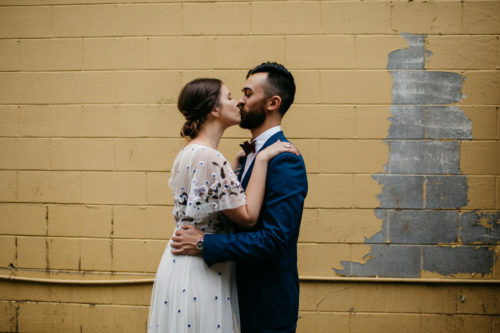 Jordan and Lauren’s whimsical and elegant wedding took place at Hi-Wire Brewery in Asheville, NC. 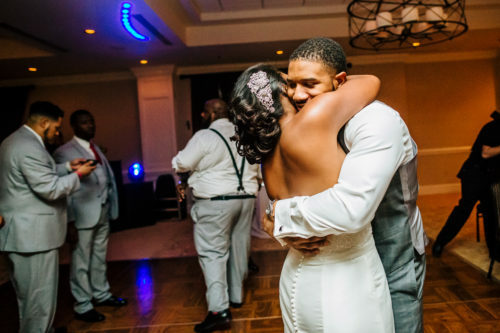 To say Lauren and Jordan are radiant and in love is an understatement. 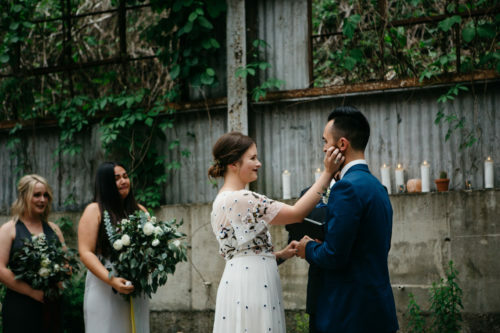 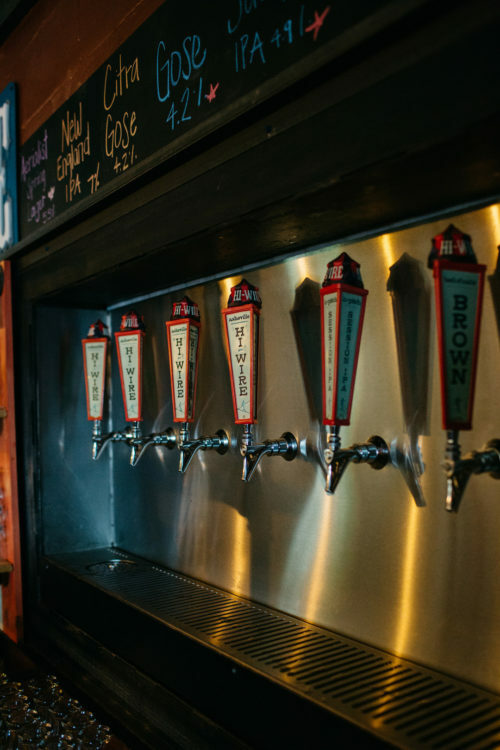 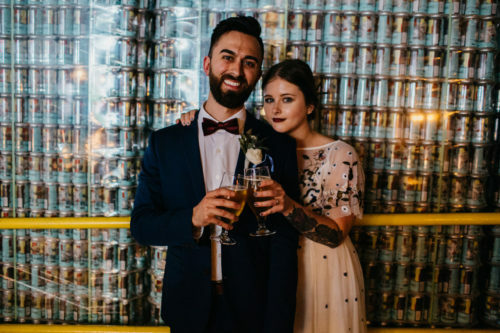 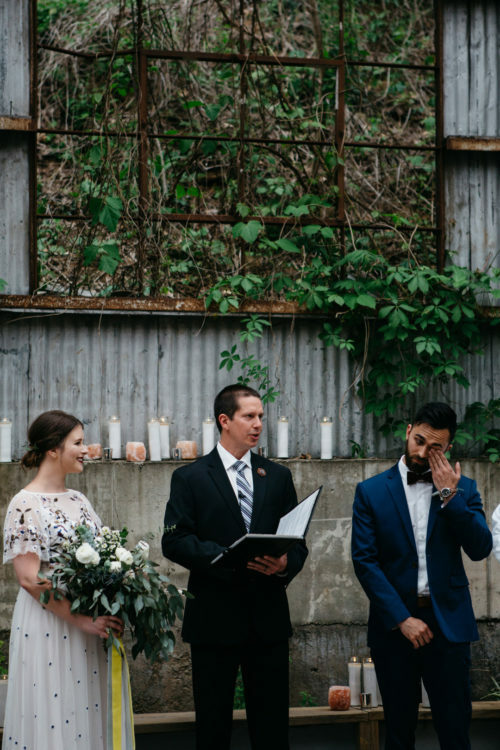 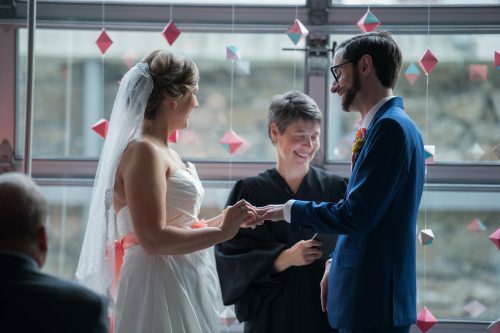 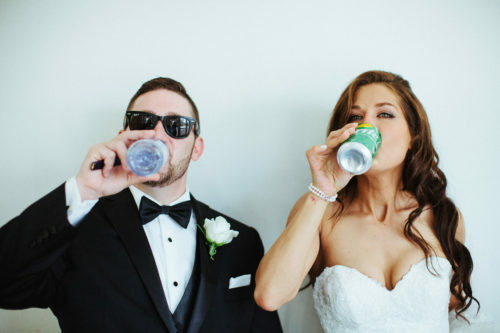 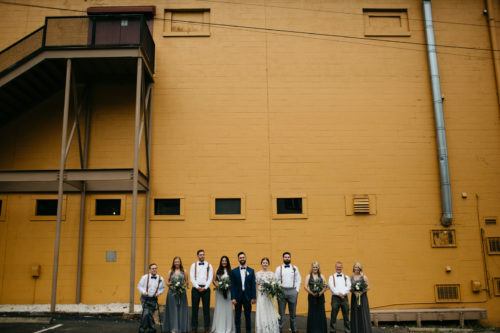 The couple wanted their day to feel like one big party and with that in mind, the first and easiest decision they made was to have their wedding at a brewery. 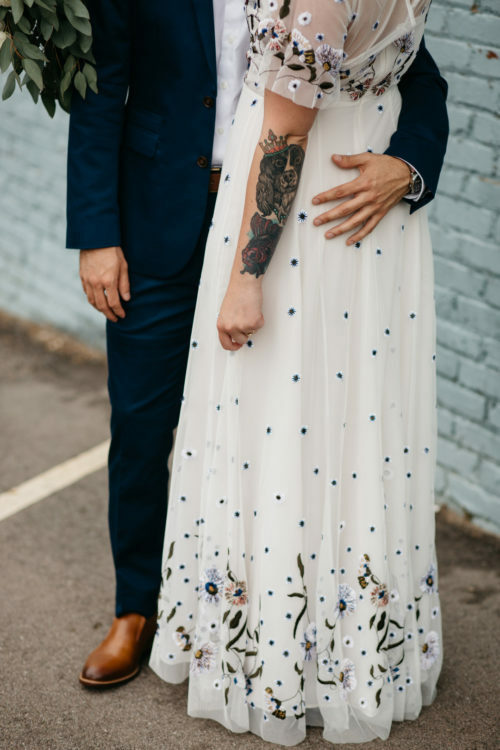 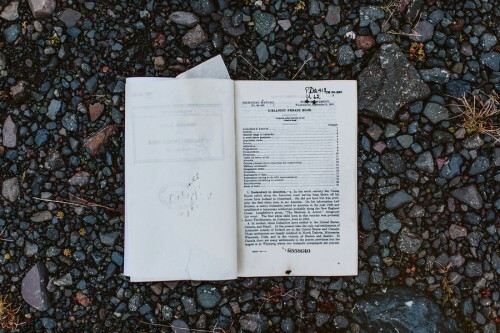 The personal touches, DIY projects, and inspiration came from their love of beer, each other, and the colors in Lauren’s stunning French Connection wedding dress! 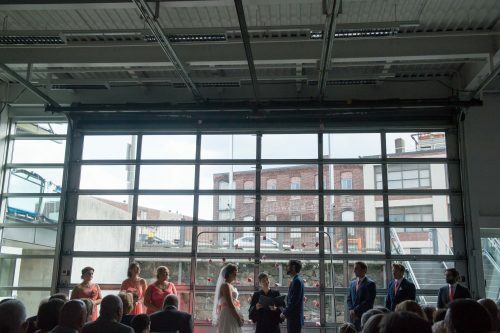 Unique elements of their day included a first dance to “Hero” by Enrique Iglesias, cake cutting to “Sugar We’re Going Down” by Fall Out Boy, cactus and crystal centerpieces envisioned and executed by the bride, mix-matched grey bridesmaids dresses, and perfectly coordinated colors of the brewery and surrounding area. 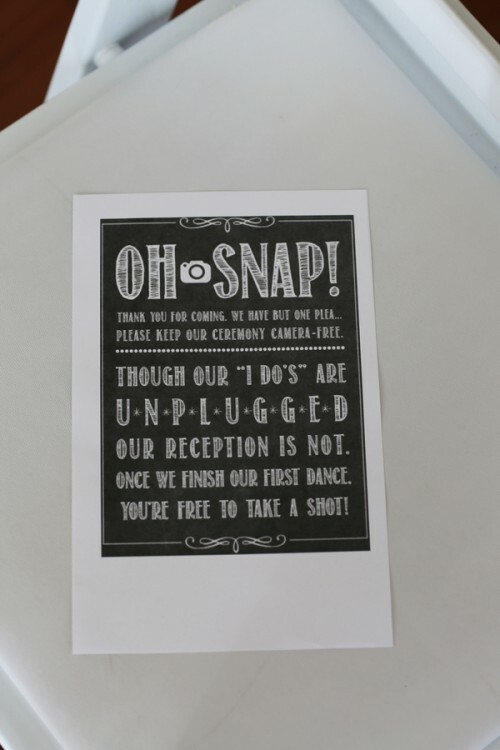 Posted Under A Real Hi-Fi Wedding D.I.Y. 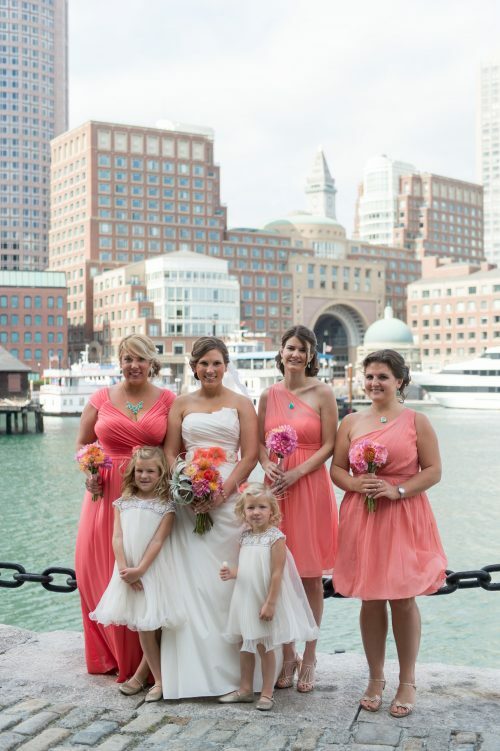 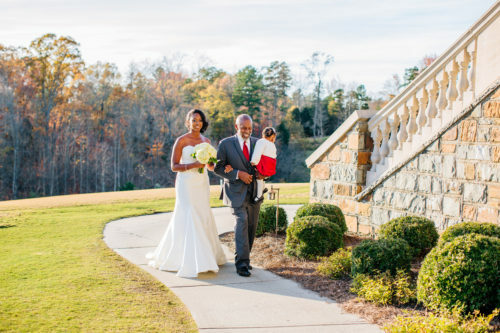 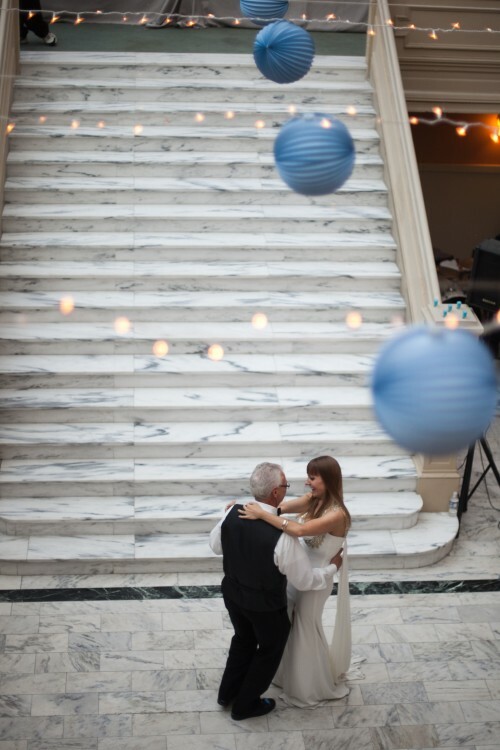 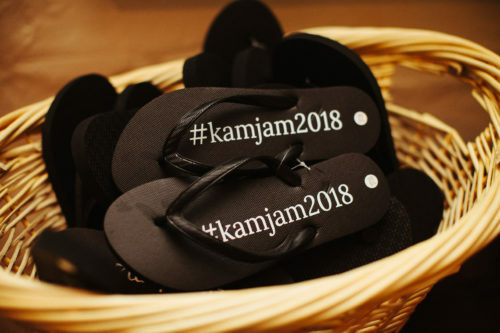 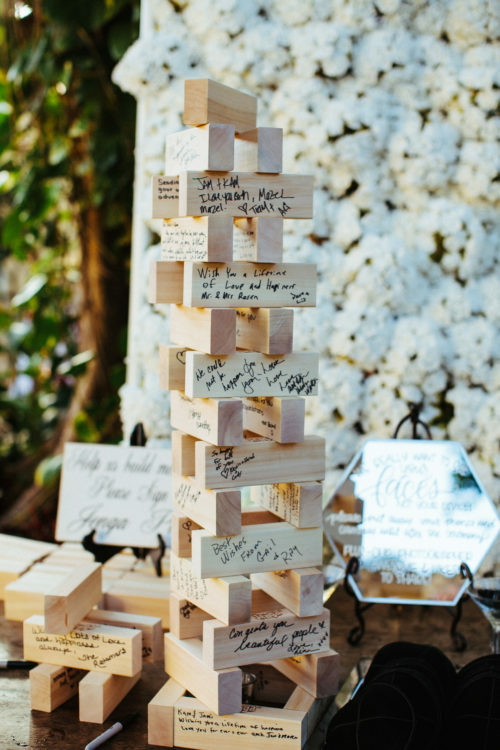 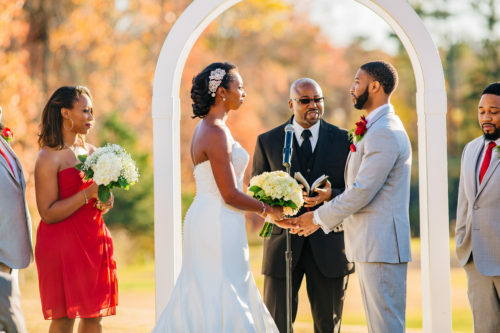 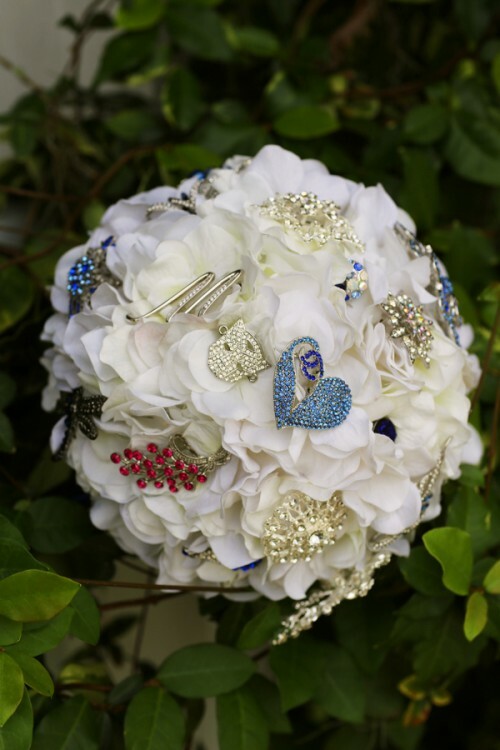 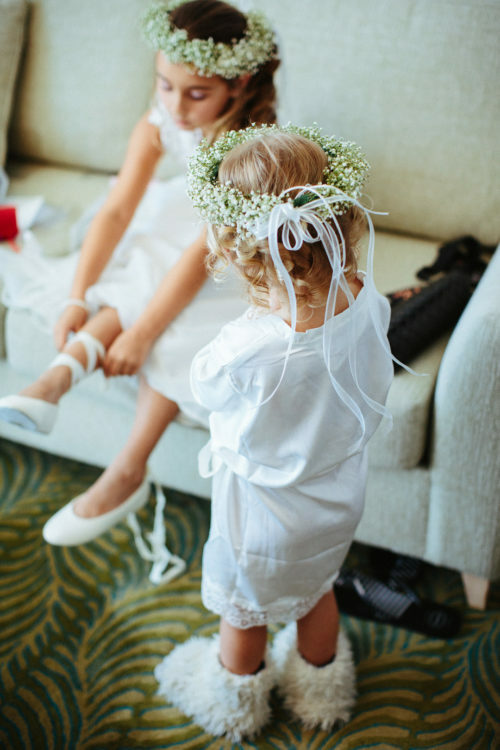 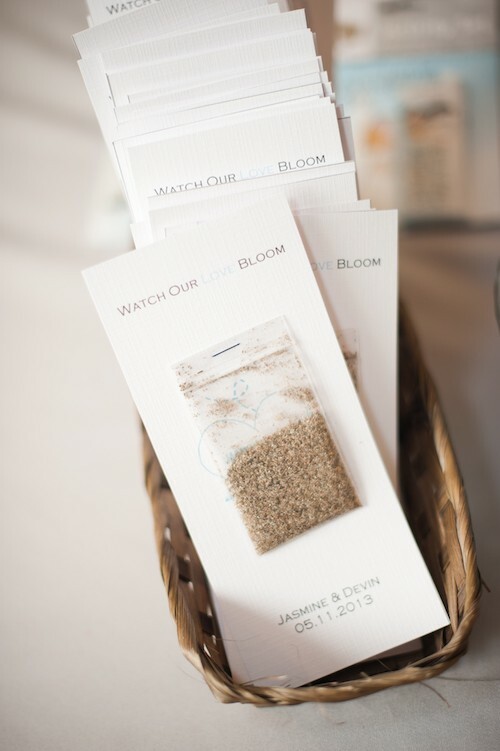 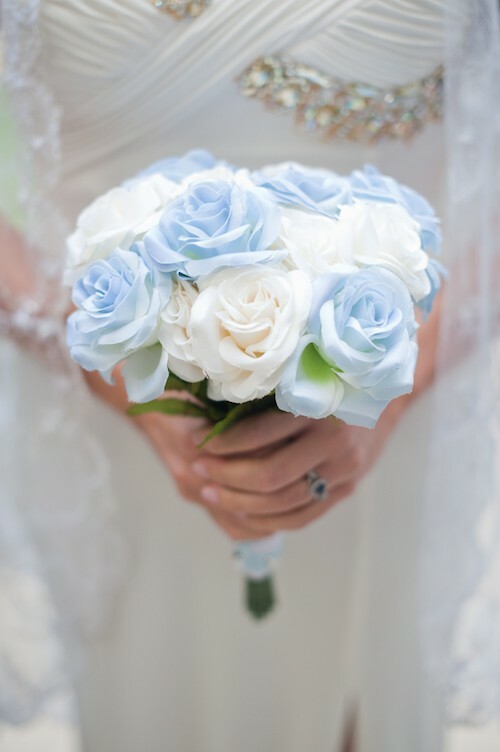 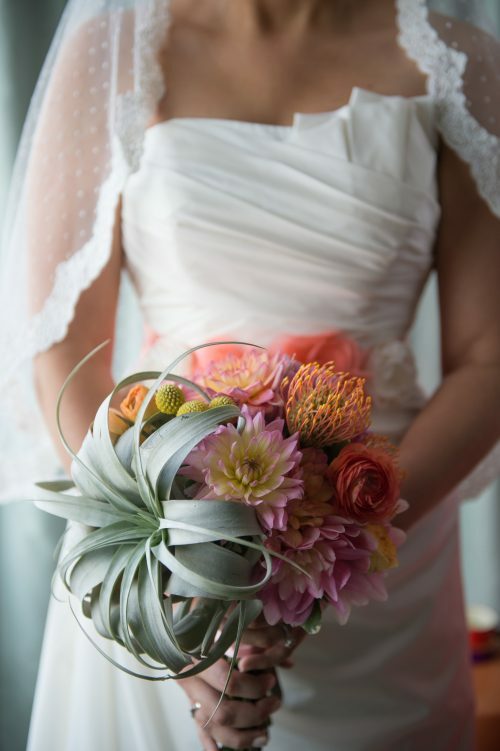 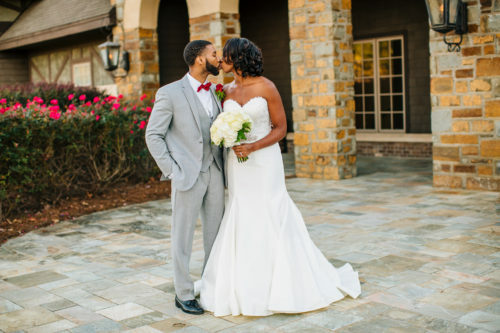 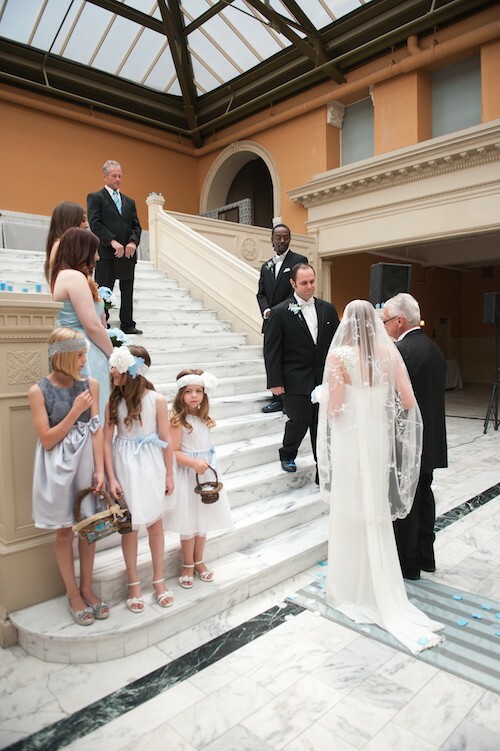 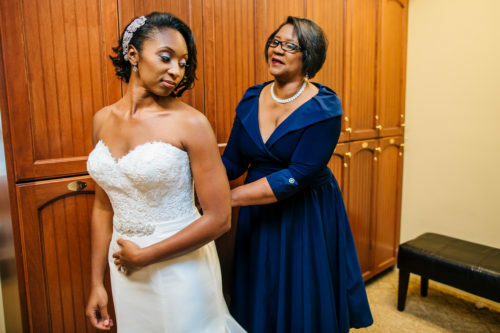 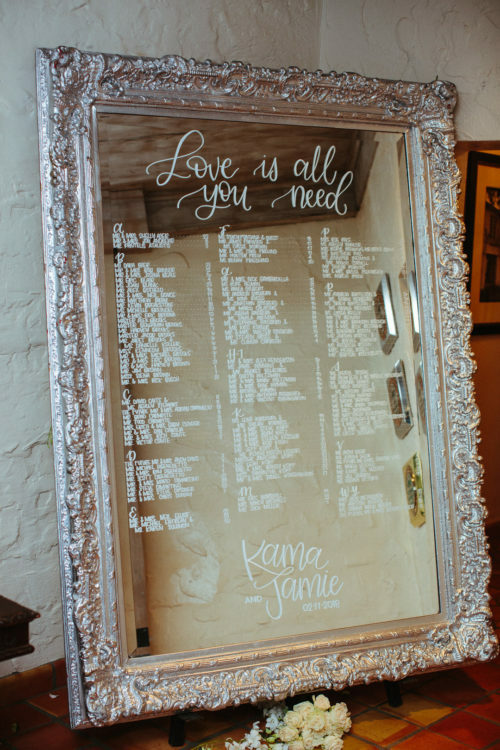 Kama and Jamie were surrounded by their friends and family during their gorgeous wedding! 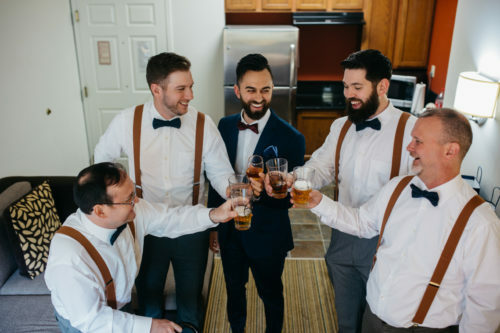 Celebrating with their crew was what their day was all about. 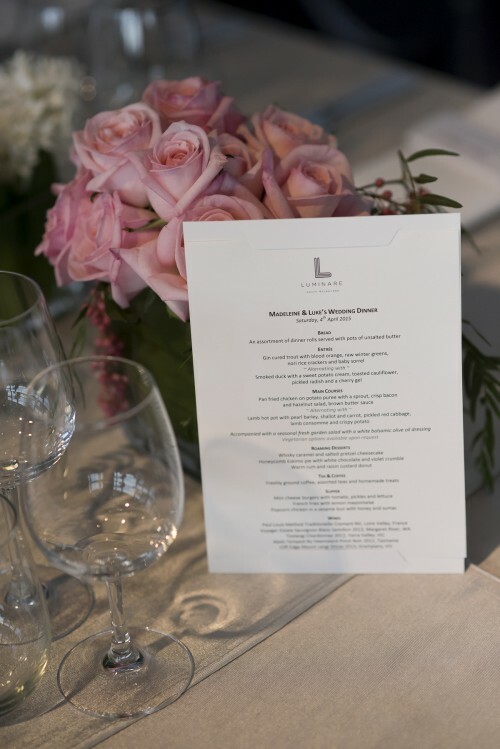 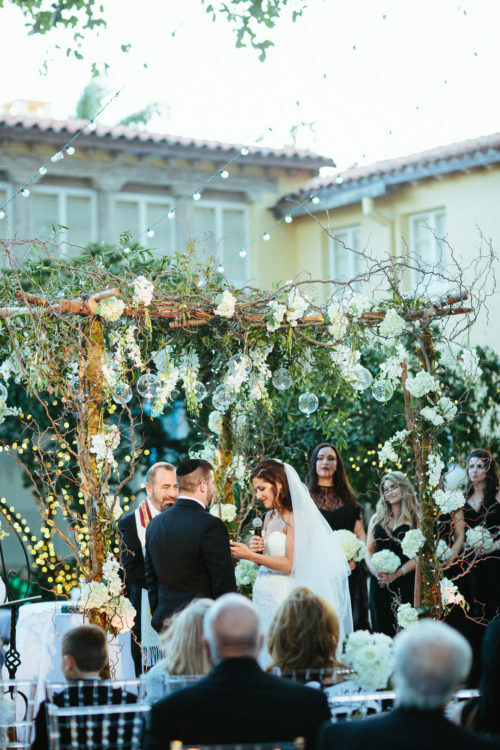 After their romantic, outdoor ceremony and cocktail hour, they sat down for a formal dinner with their guests. 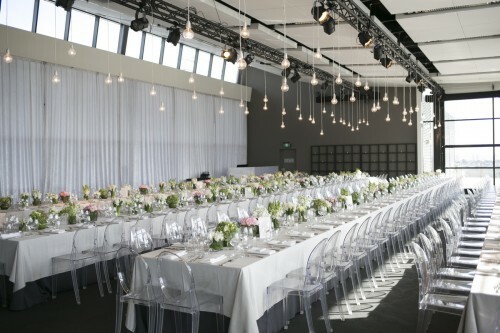 Everybody had the chance to mingle and enjoy a fabulous meal before being led into the ultimate dance party. 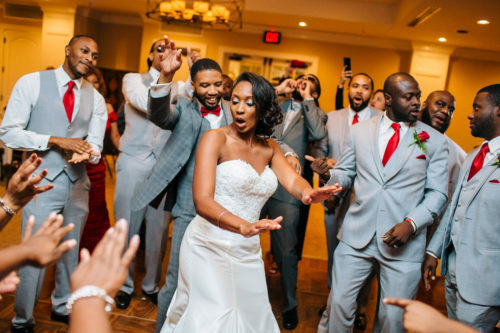 When everyone is able to just let loose and enjoy these most special moments, you know it’s sure to be a good one! 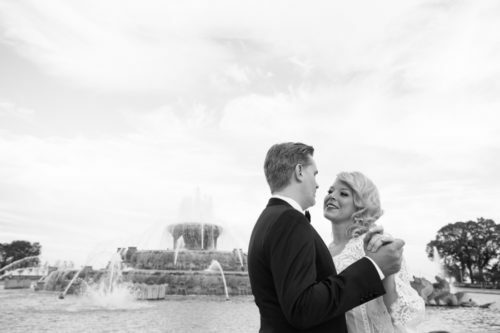 Gwen & Alan met and fell in Love in Chicago! 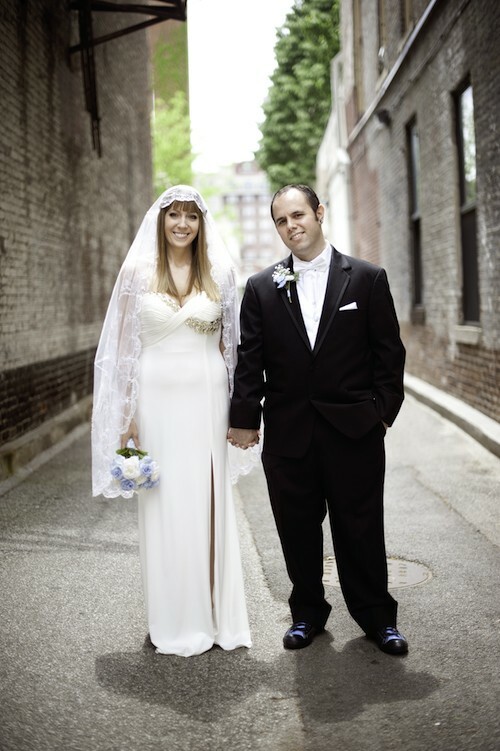 Alan is a DJ for I Heart Radio, so their lives took them to Cincinnati OH. 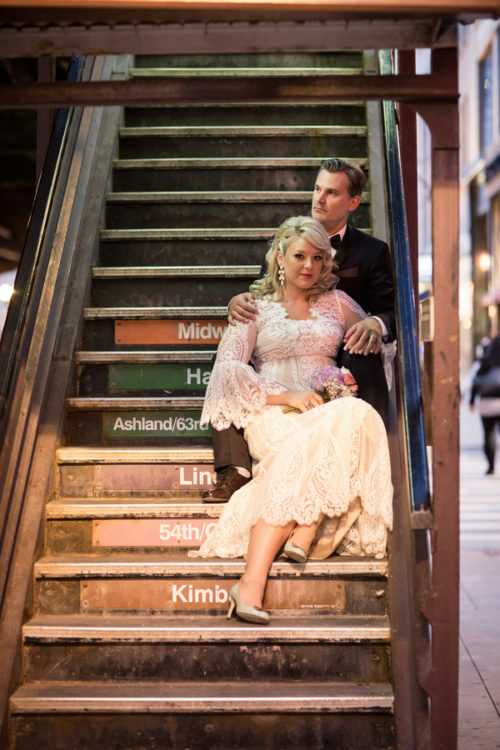 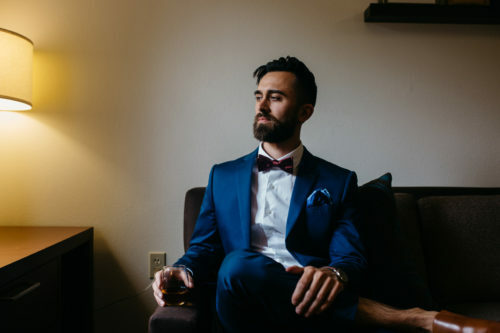 They wanted their wedding and their post wedding editorial fashion session to reflect the city they love most and so they came back to Chi-town for both. 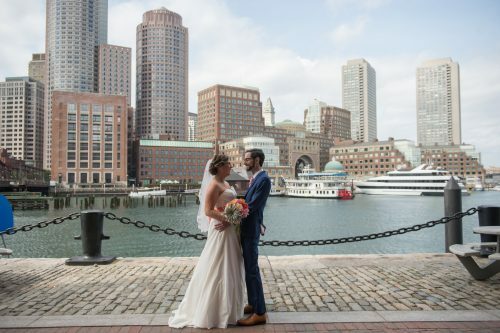 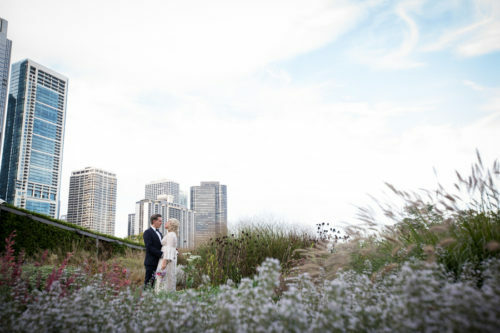 Their wedding was classic and in a venue that didn’t showcase the city views much, so they wanted to really be in the middle of it all for their editorial session. 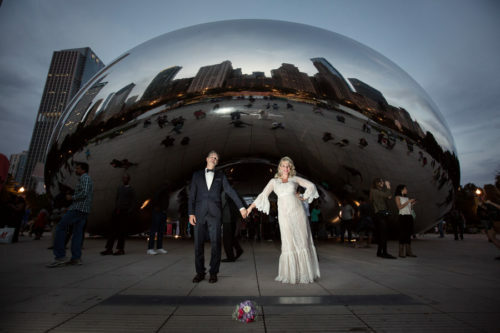 The couple and photographer ran around Millennium Park and downtown under the L lines and captured some magical silly moments that not only showcase their playful affection for one another, but the beautiful city that brought them together in the first place. 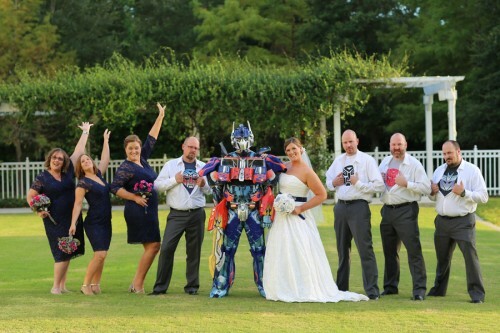 Talk.About.A.Party! 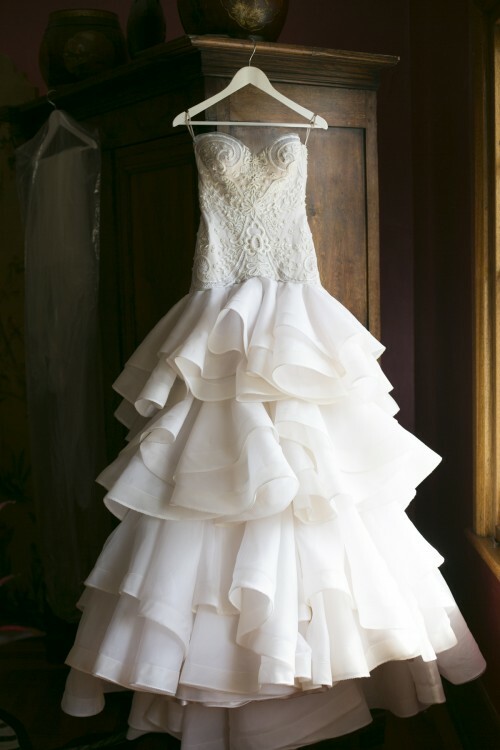 Holy moly! 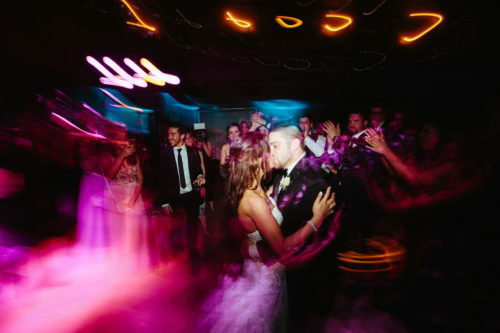 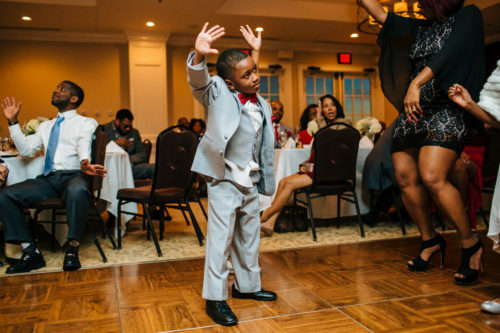 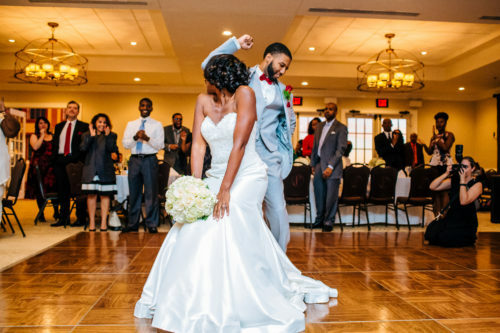 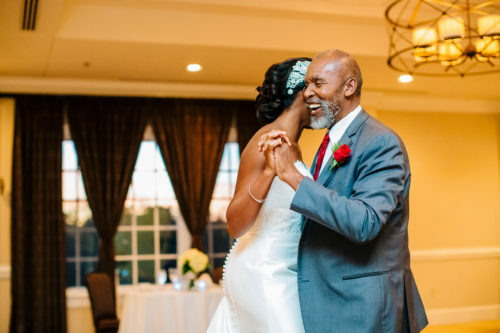 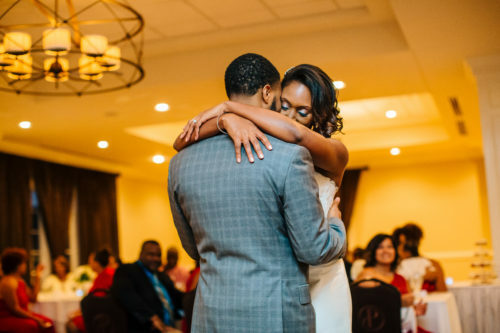 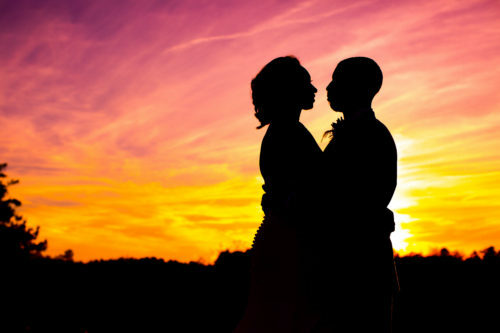 Nisa and Anthony had a downright amazing time dancing and celebrating their love with friends and family! 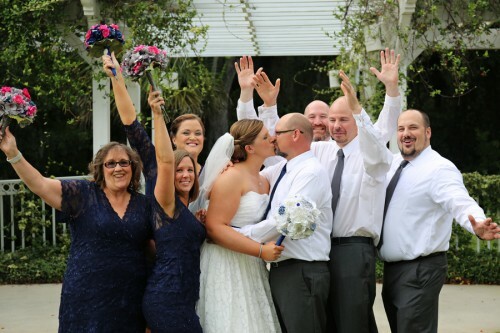 You can tell by all the huge smiles that their wedding was nothing short of awesome! 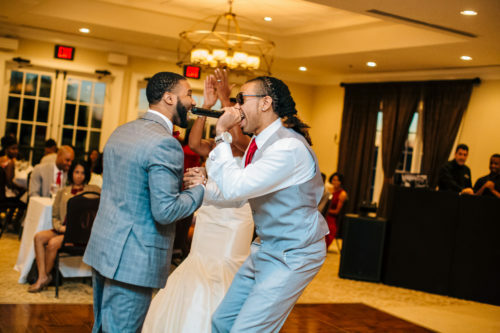 I love that their friend, K-Breeze, even did a surprise performance for the couple! 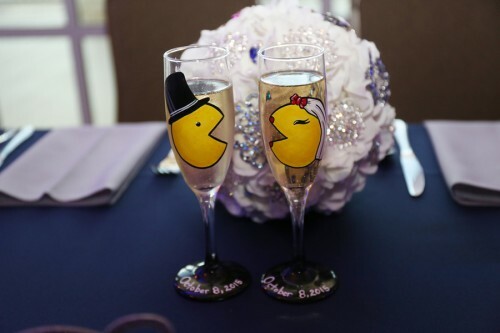 How freakin’ rad!! 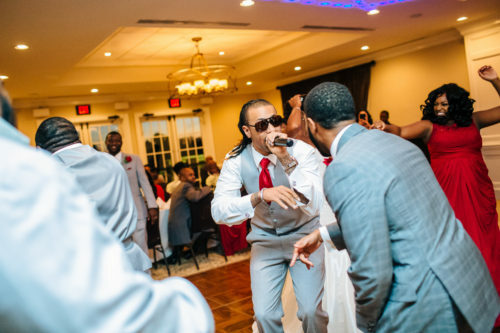 Special Performance By K-Breeze, A friend of the couple! 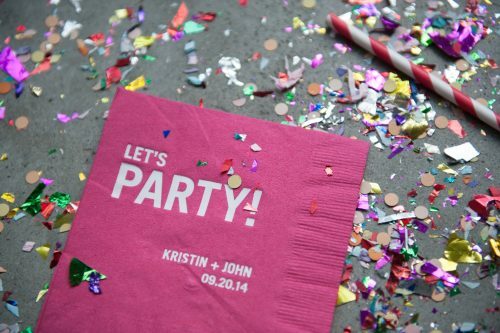 Kristin and John never even considered another venue, the Artists for Humanity was THE place, it was where they would start their lives together! 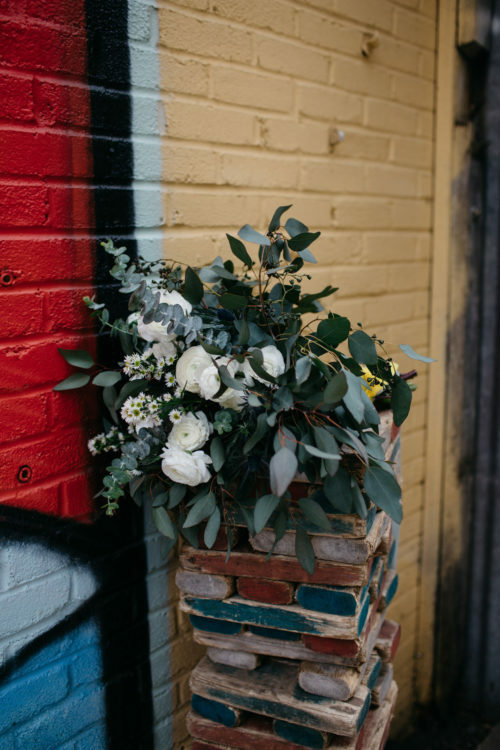 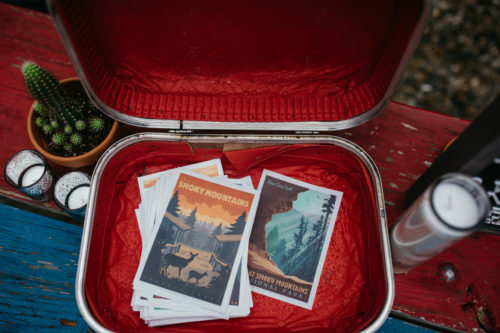 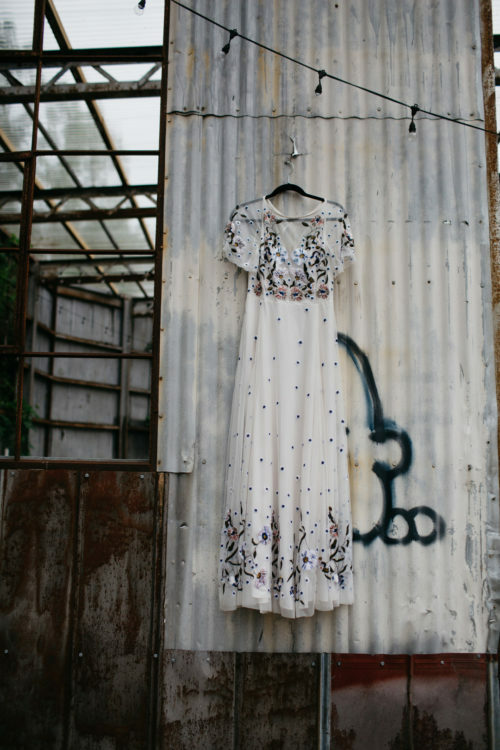 The open space, colorful and beautiful art, the amazing mission, industrial feel, and city location were just a few of the factors that spoke to them. 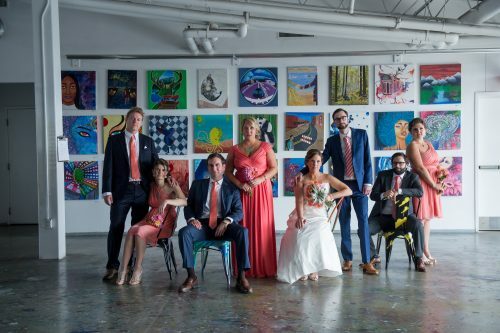 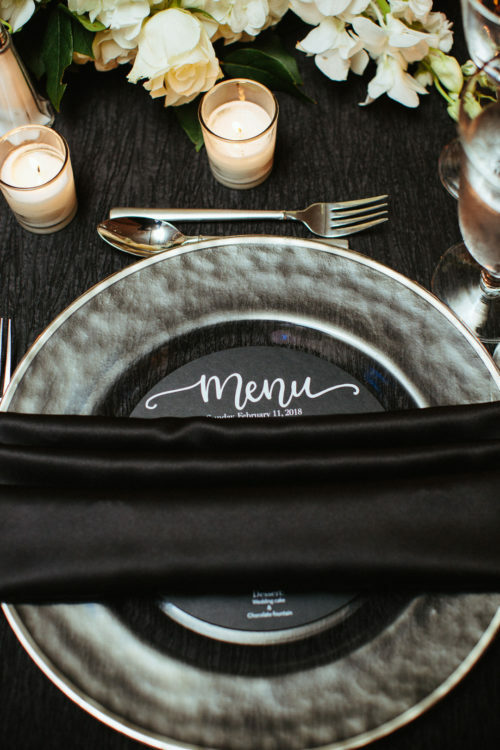 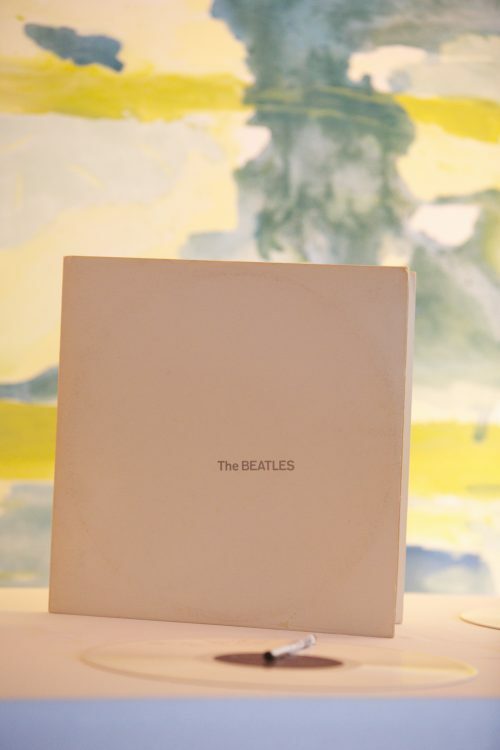 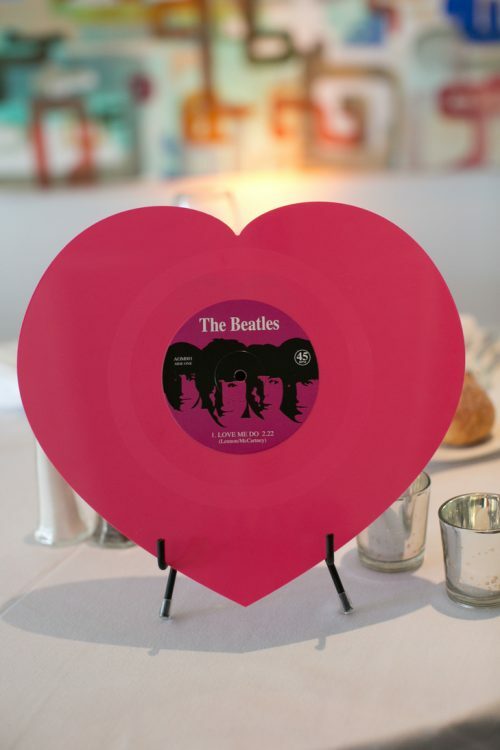 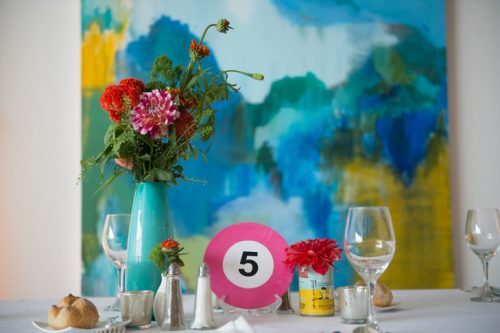 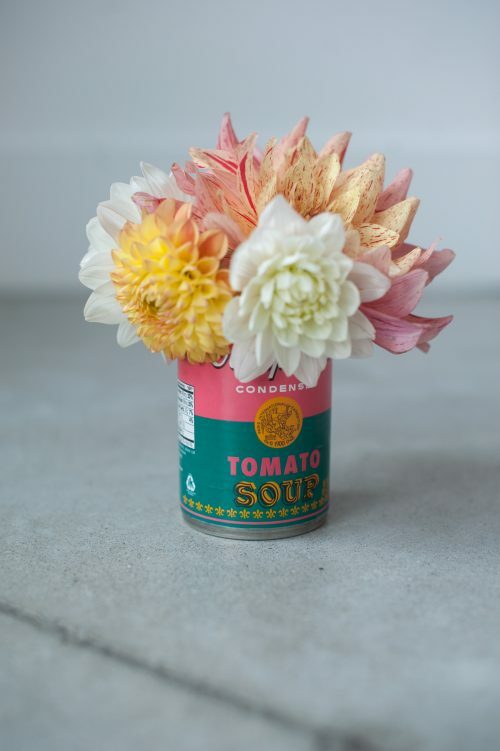 John was hoping to channel Andy Warhol’s The Factory feel, so they used the Warhol Campbell soup cans as vases and the Velvet Underground was prominent in the ceremony readings and reception music. 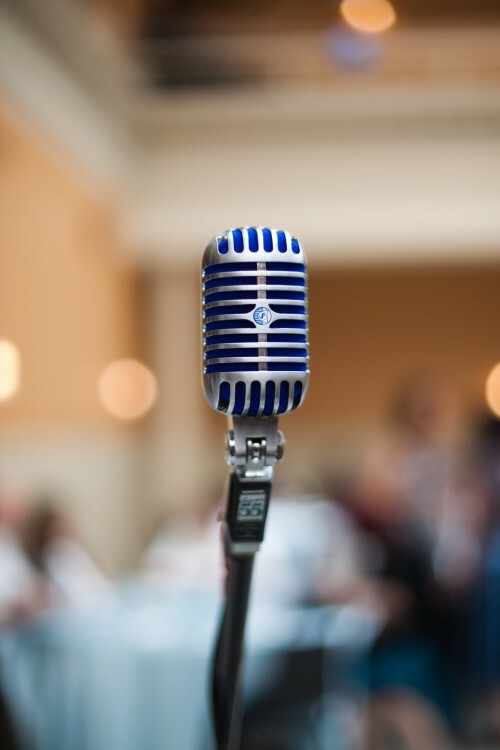 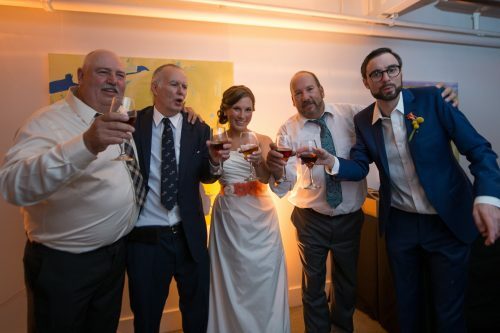 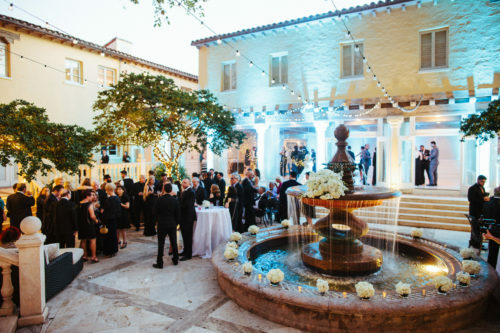 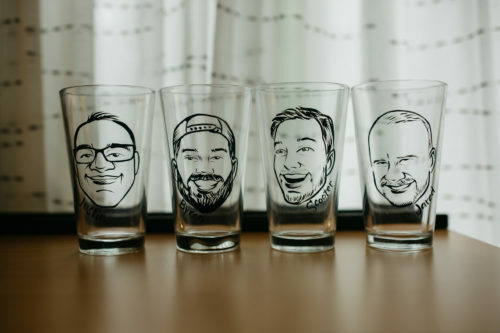 A few highlights from the evening were the heartfelt toasts, shots with the dads, catching up with friends in the courtyard, dancing the night away, and the guest send off to Dirty Water. 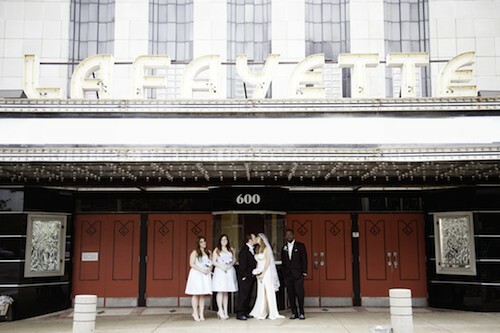 Jasmine and Devin wanted their wedding to have a vintage and rock n’ roll vibe that was totally “them”! 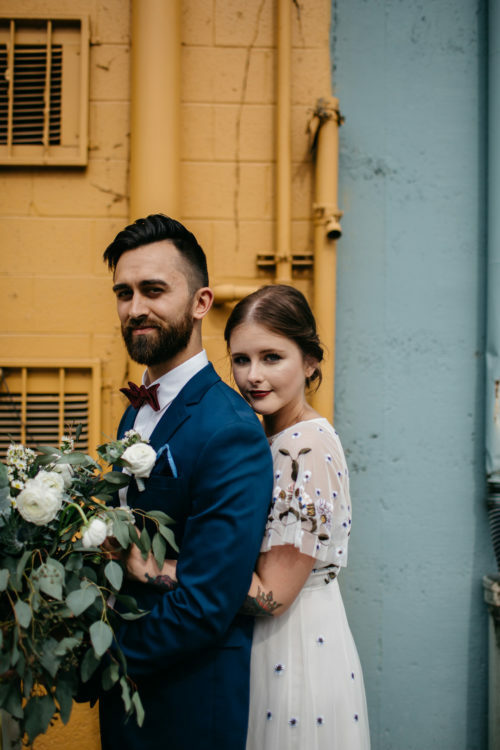 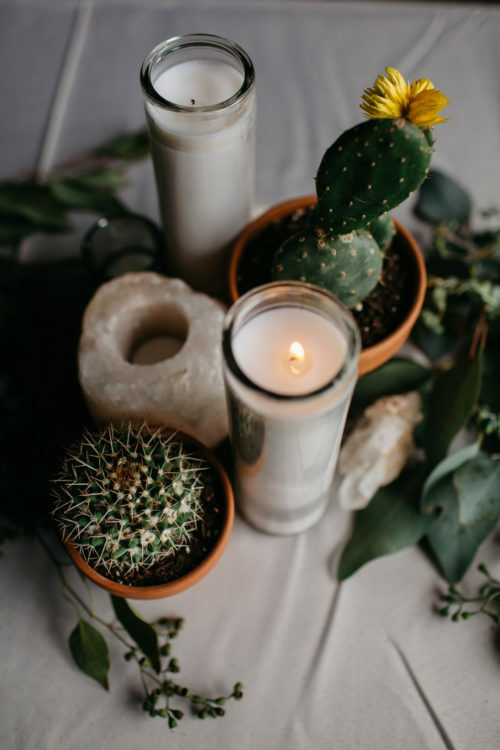 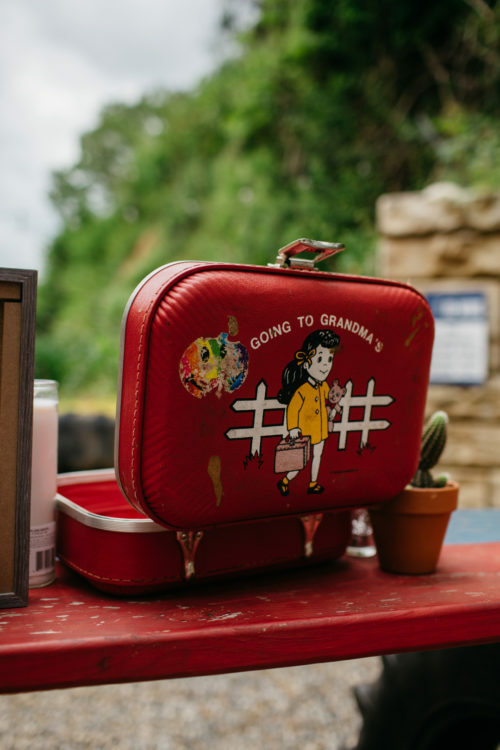 From the DIY elements, to the awesome wardrobe, to the rockin’ reception – their wedding was a perfect blend of rock and gypsy vibes! 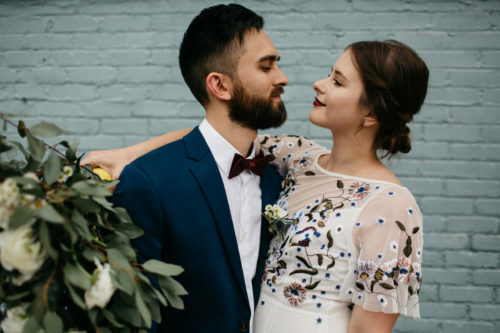 My favorite part of their day? 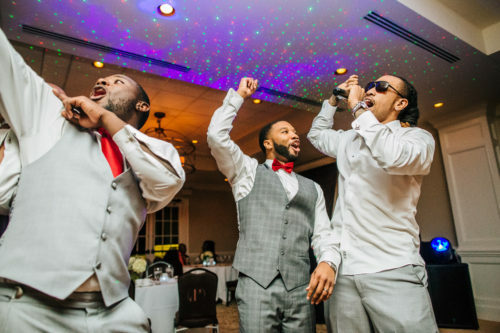 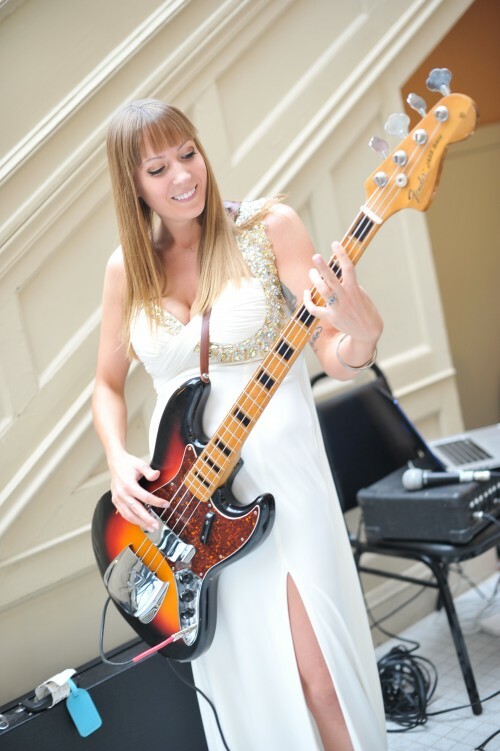 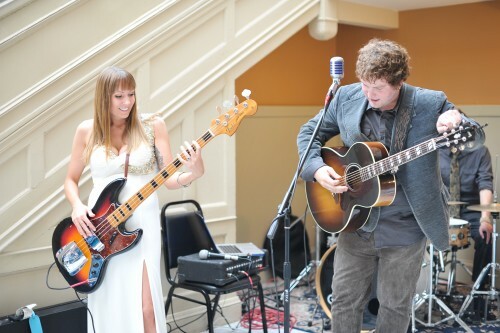 The fact that Jasmine surprised her husband by playing The Kinks’ “You Really Got Me” on bass during the reception! 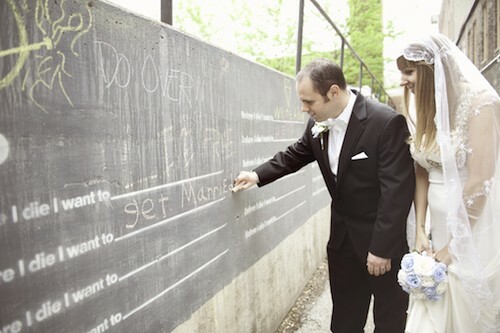 What a radical way to celebrate love! 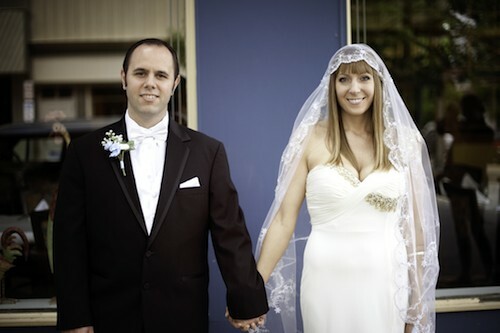 Noelia and Jose are two Andalusians (southern Spain) who are used to a warm and sunny weather. 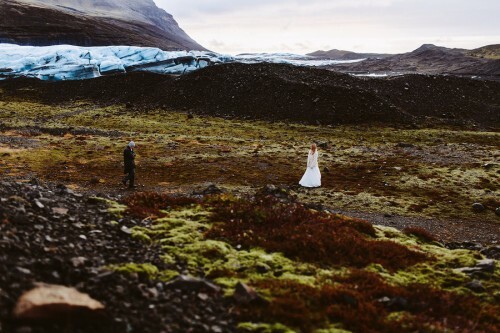 They hired one their photographer for a “trash the dress” session with the condition that it was a complete surprise. 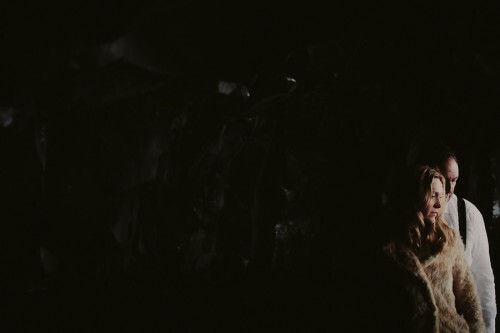 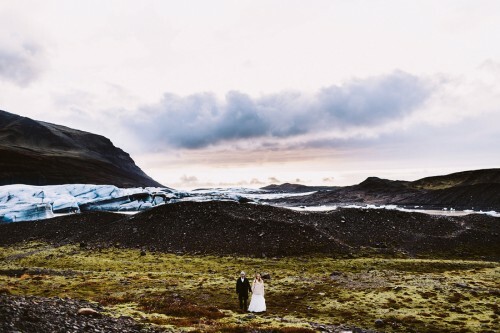 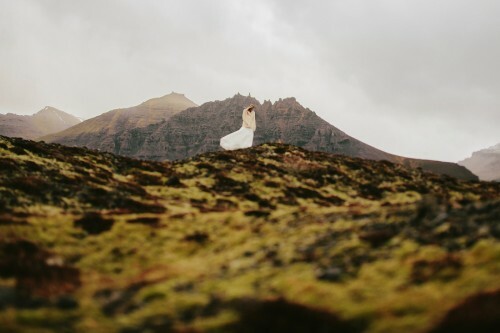 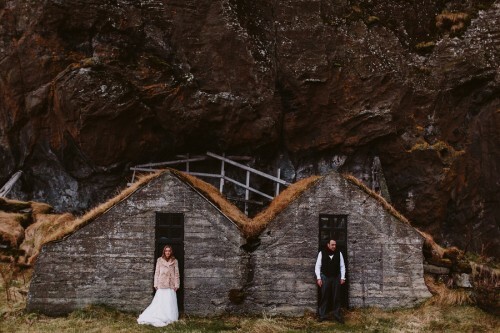 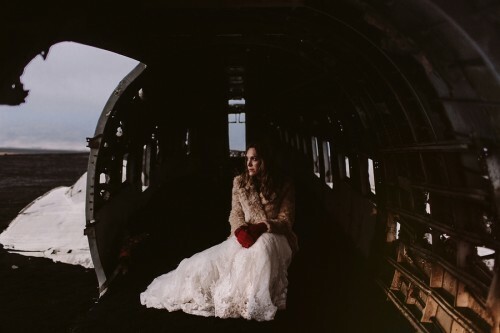 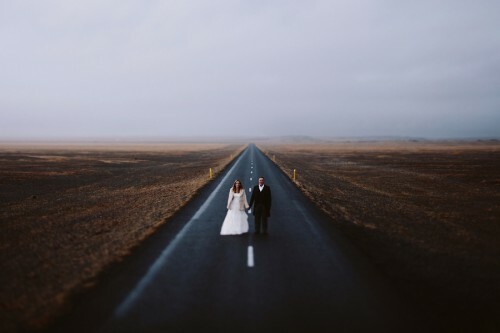 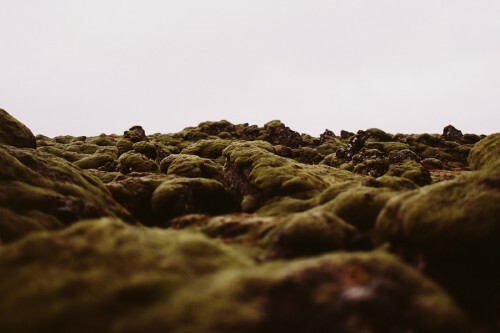 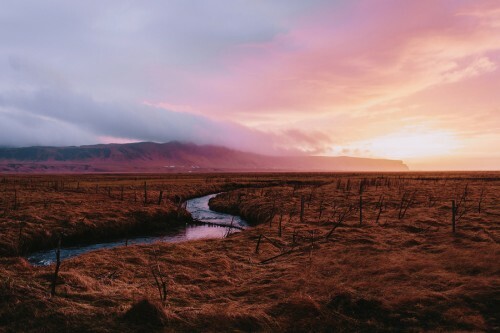 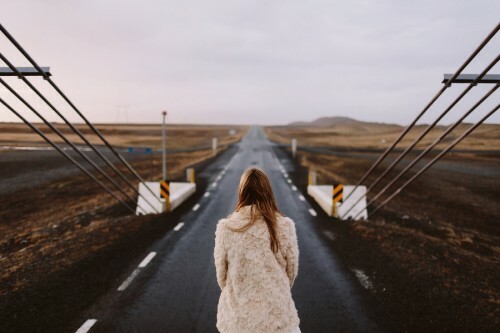 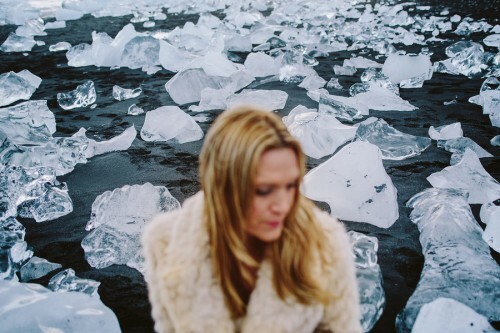 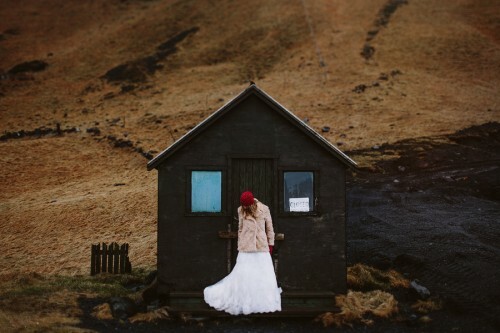 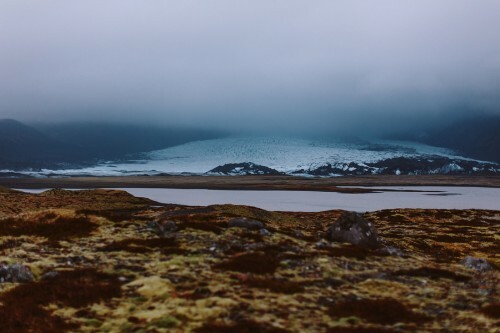 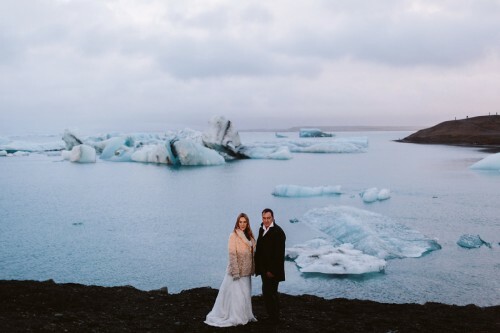 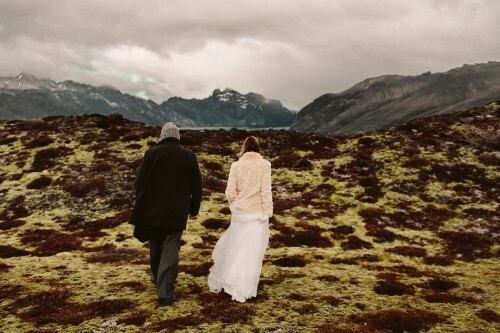 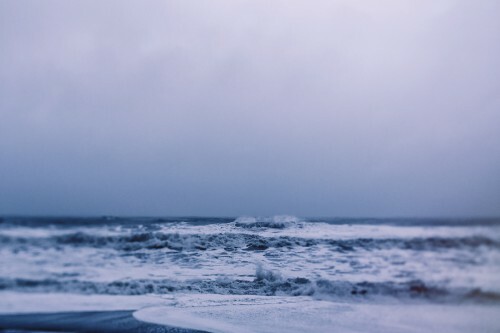 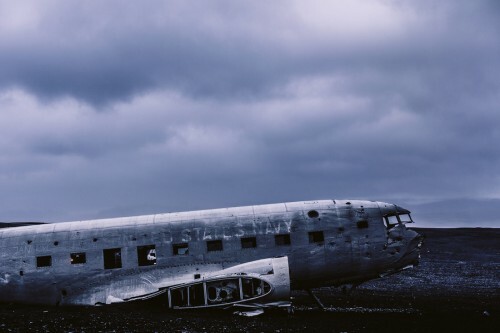 They didn’t want to know where the location would be and put complete trust into their photographer…who chose ICELAND!! 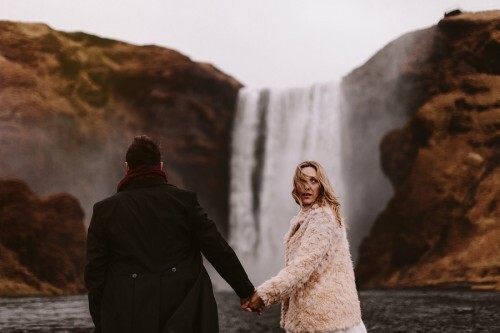 What an adventure!! 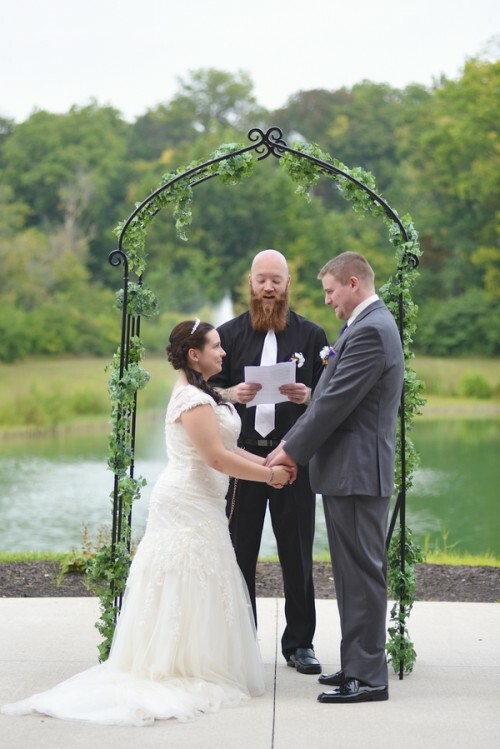 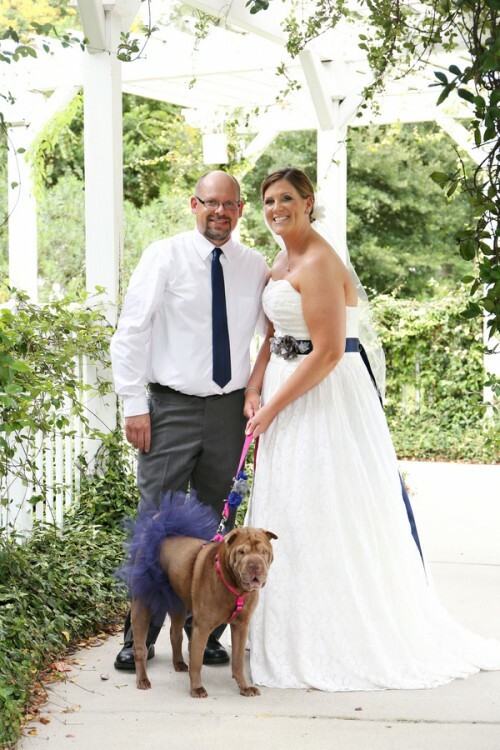 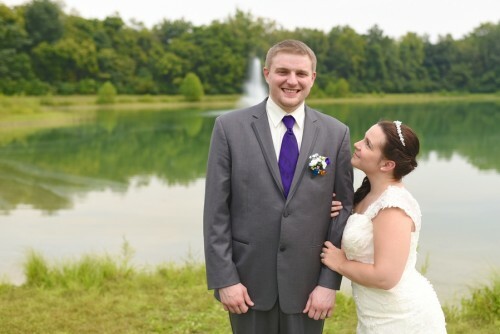 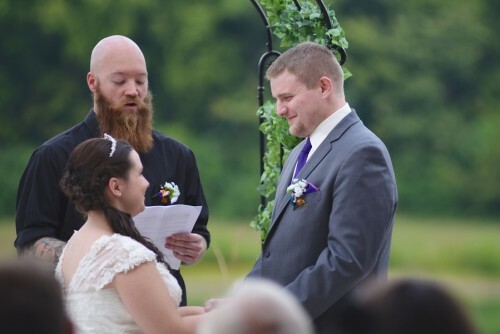 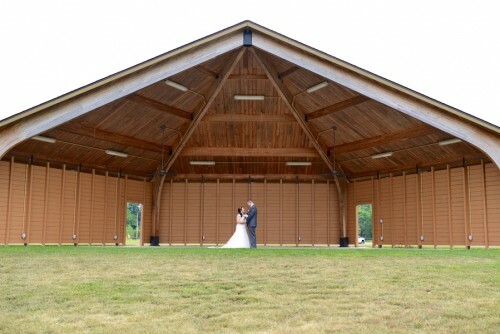 Mariah and Ryan got married at the Washington Township Park Pavillon in Avon, Indiana. 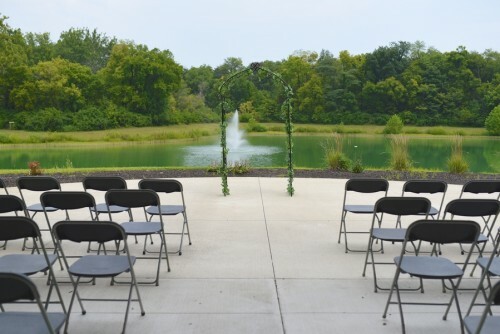 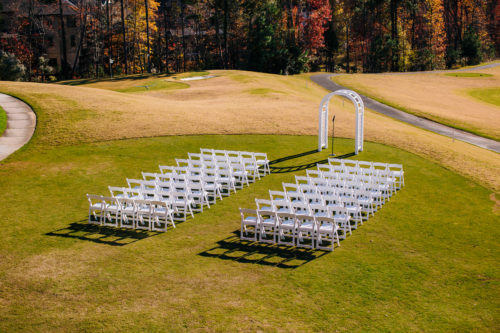 They held their ceremony on the deck that overlooked the pond, while the reception was inside the ballrooms. 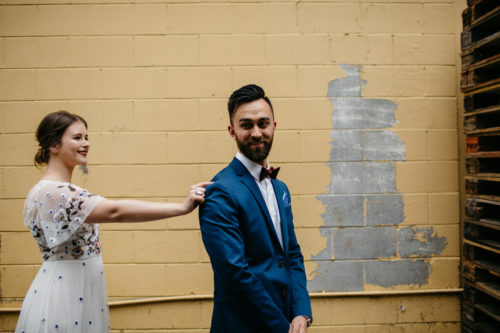 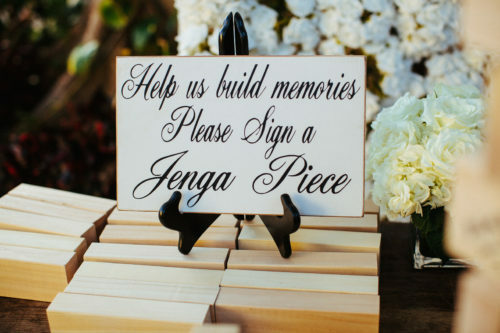 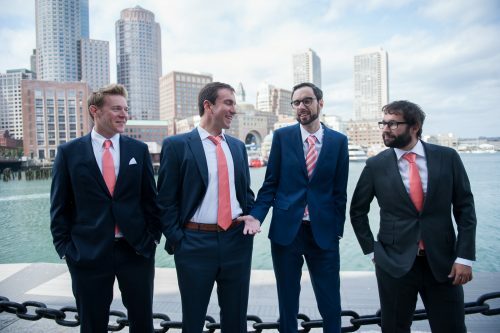 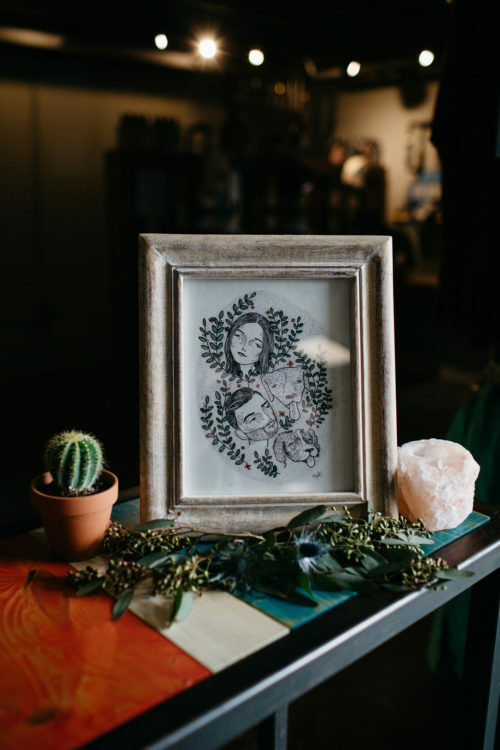 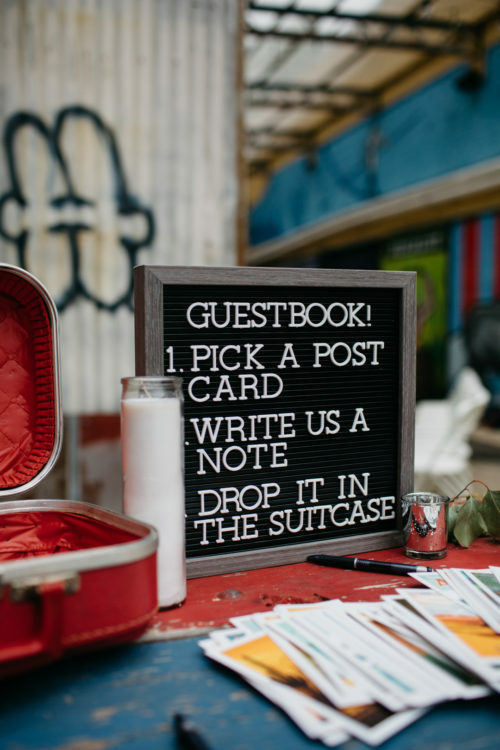 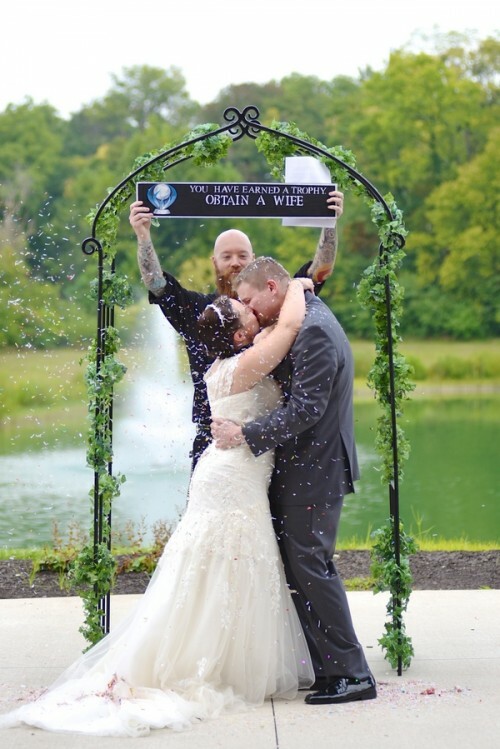 These two had special touches thrown into their whole wedding: a custom sign for when they had their first kiss, a cake topper complete with Ryan in a ninja outfit and ninja stars throughout, and the groomsmen had Lego figures on their boutonnières. 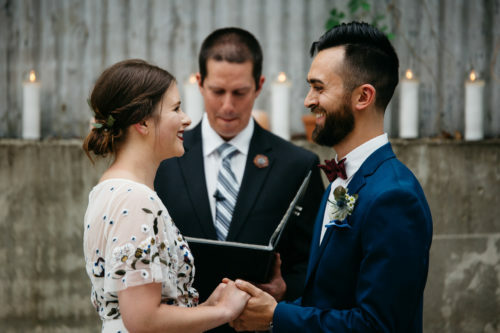 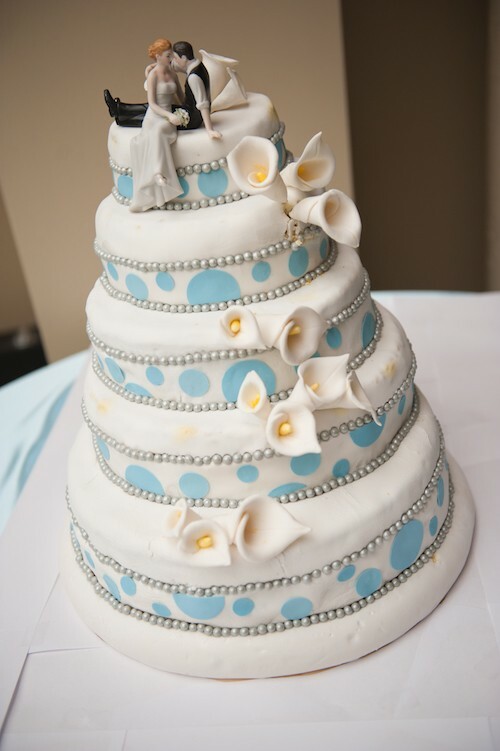 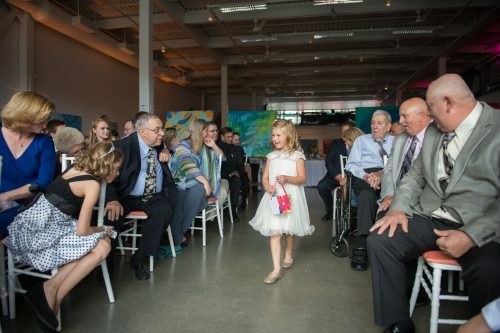 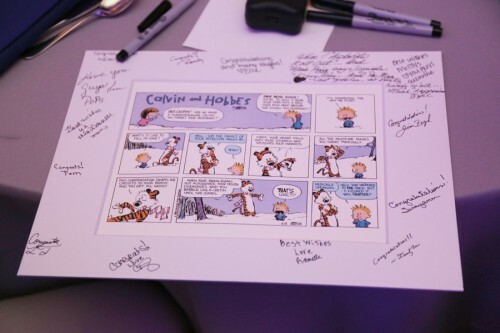 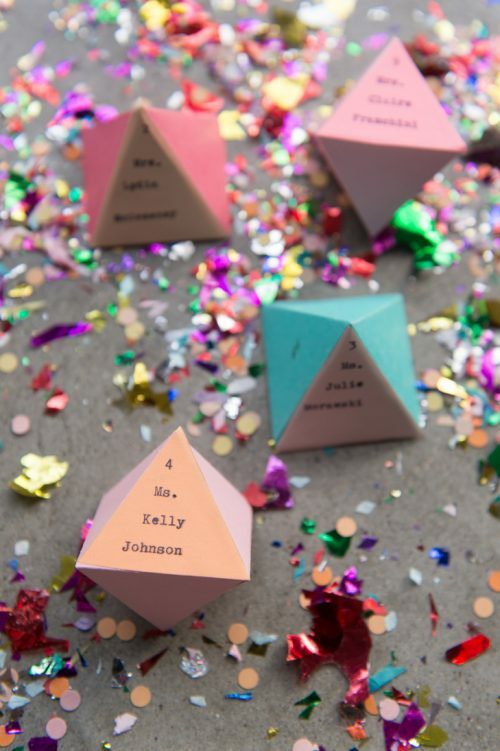 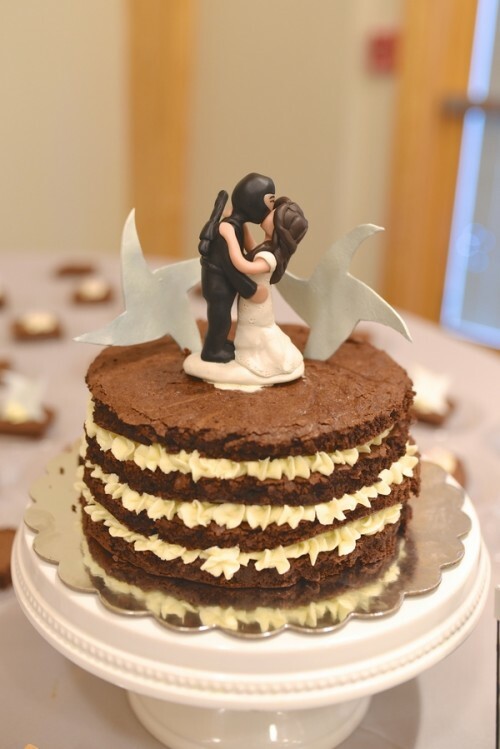 Friends and family came together to make their day a truly unique celebration! 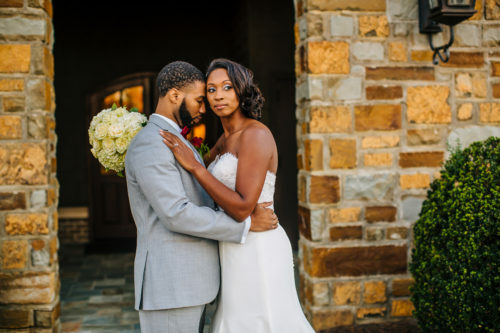 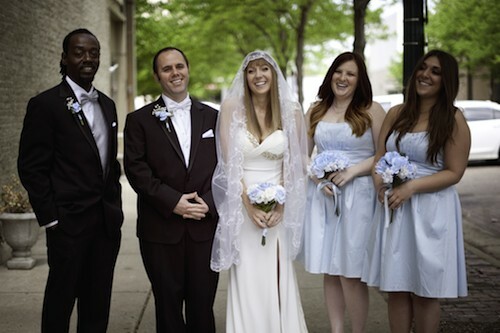 Melissa and Kenny were introduced by their best friends and the two hit it off and fell in love! 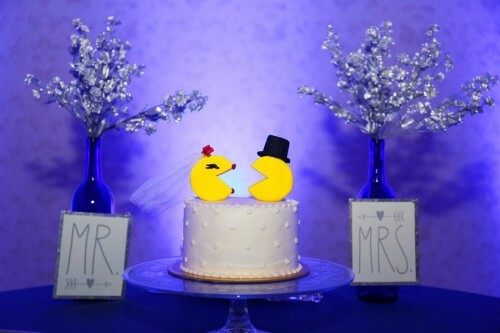 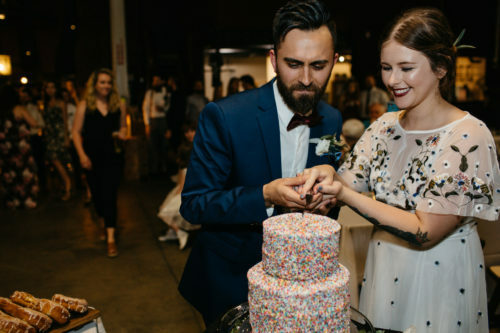 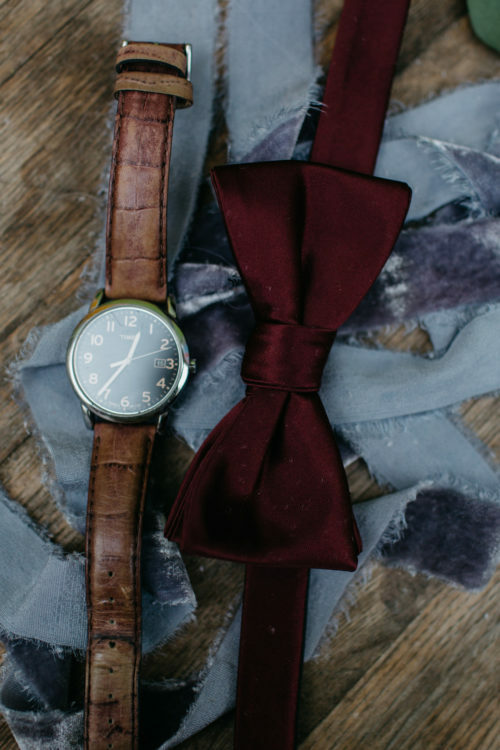 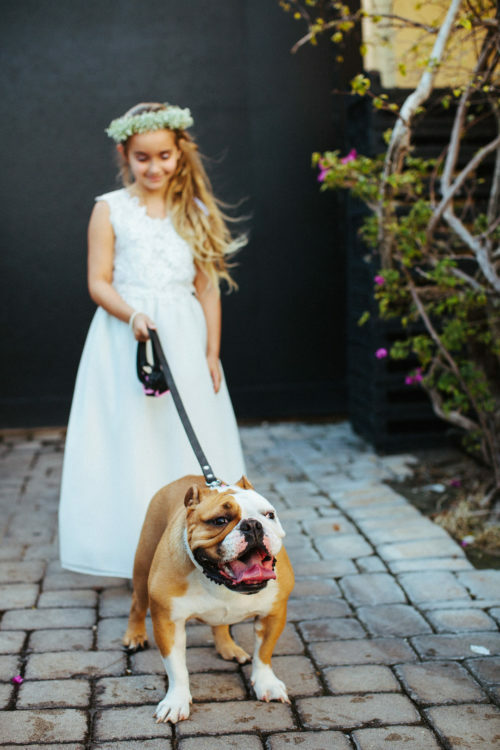 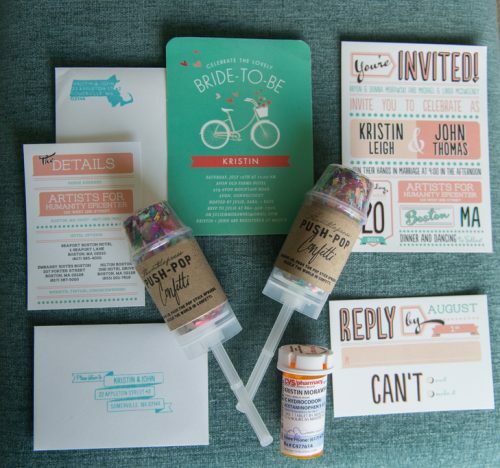 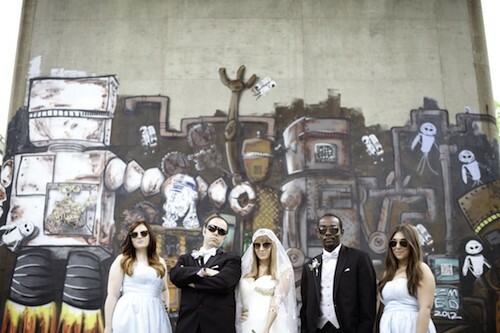 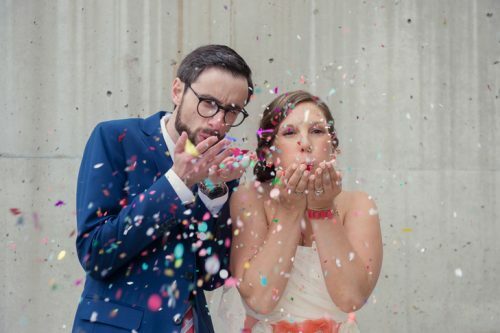 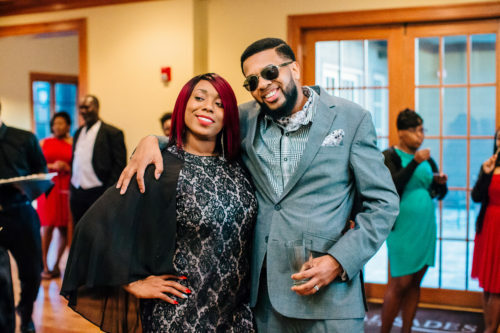 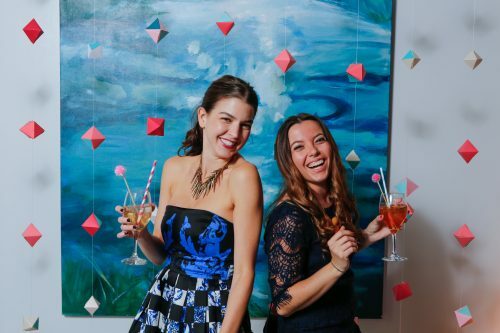 These two love all things 80’s and no ordinary wedding would do. 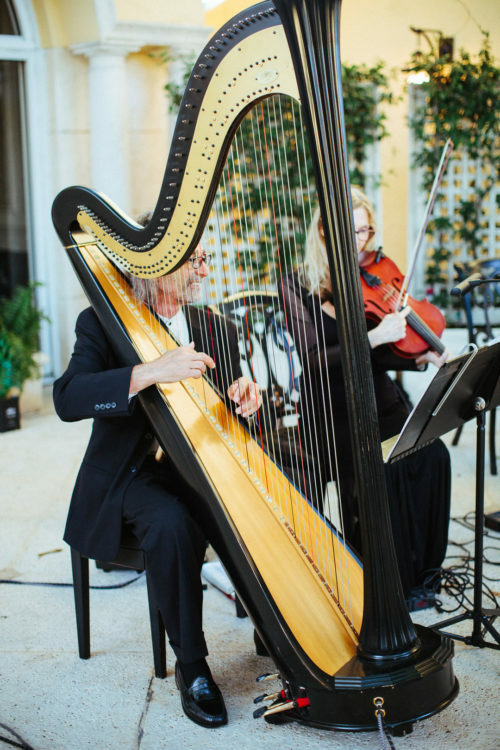 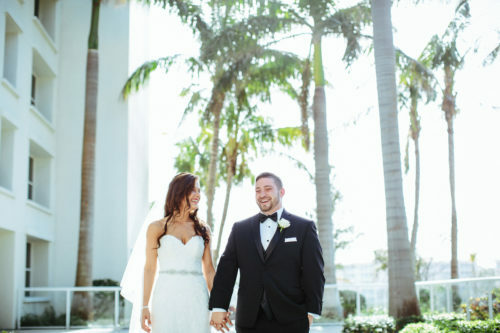 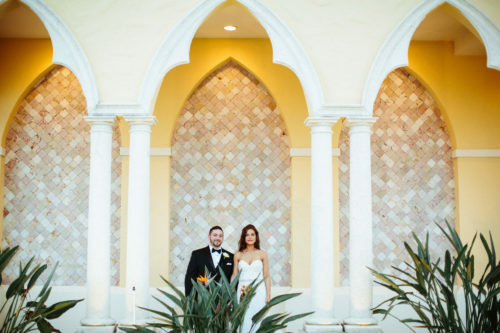 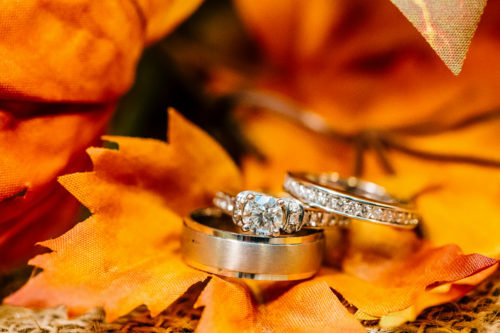 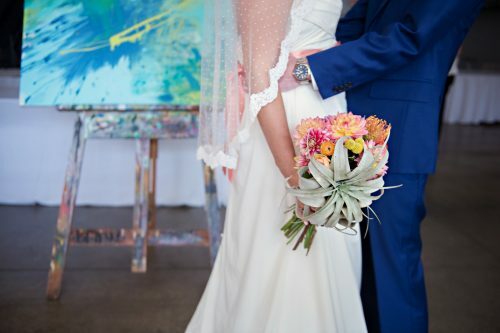 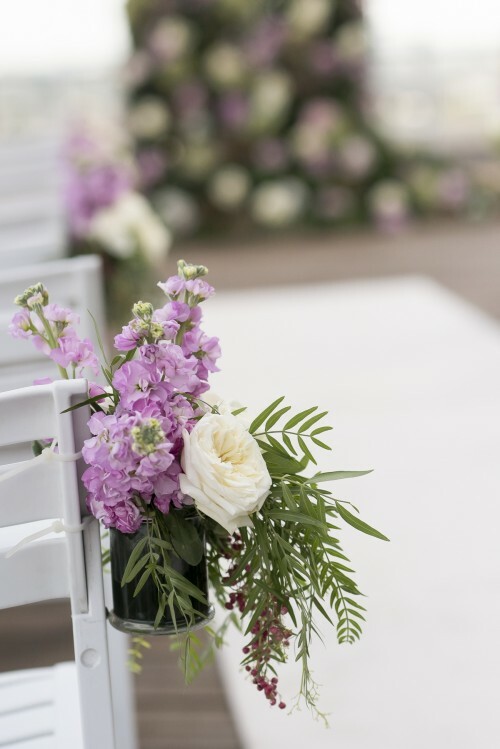 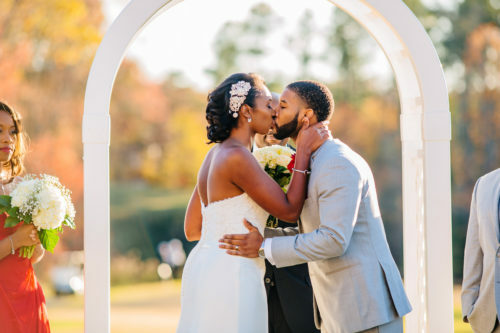 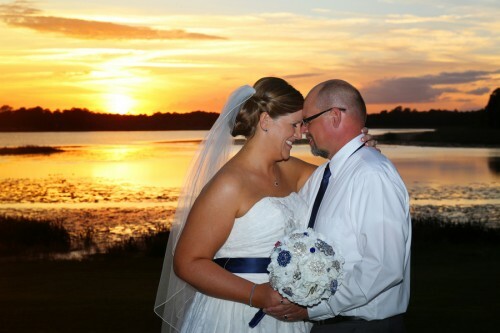 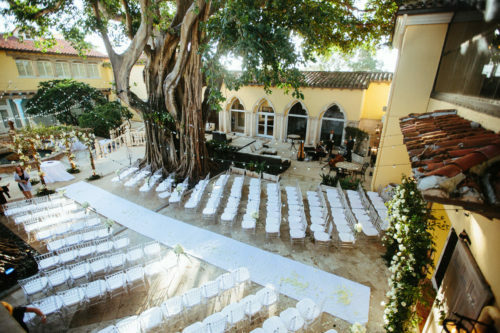 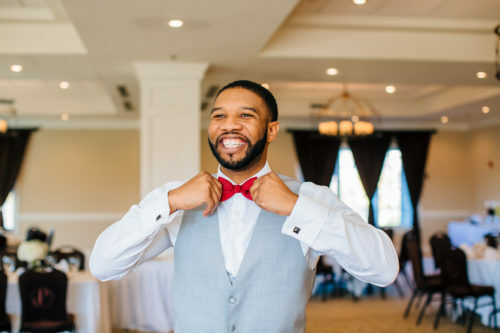 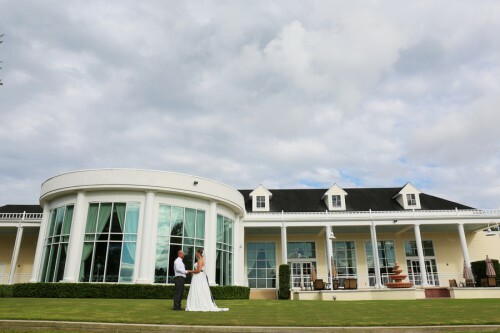 They planned to whisk off to sunny Florida from Ohio to have their wedding alongside a handful of their favorite friends and family at the Lake Mary Events Center. 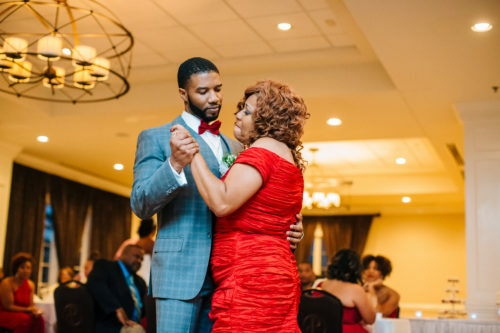 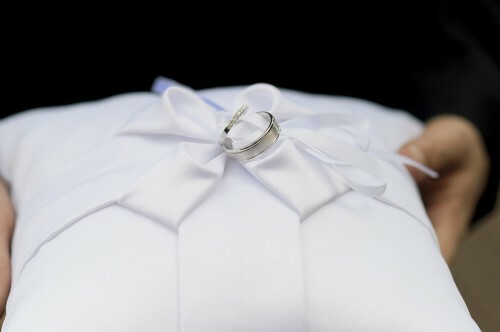 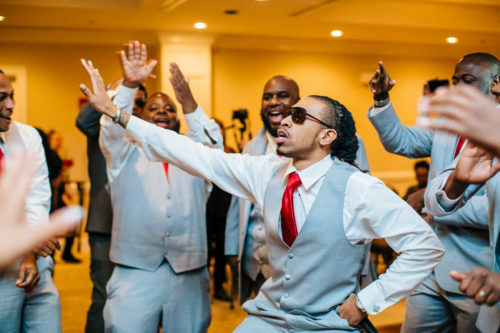 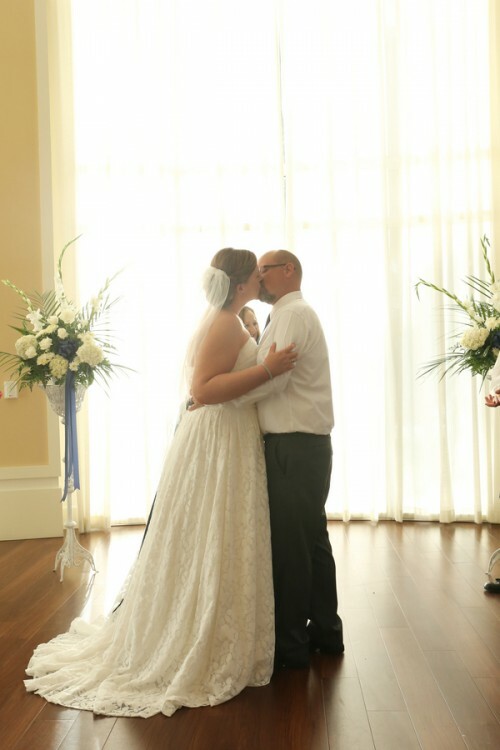 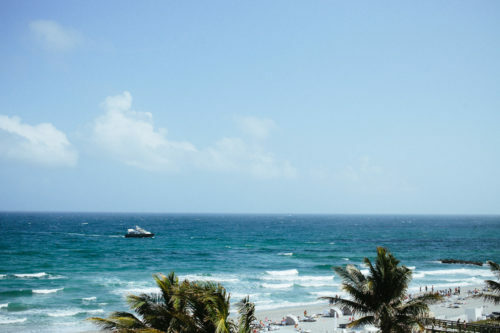 The wedding was just the start of a full week-long celebration, as after the wedding the couple and all their family and friends boarded a cruise and sailed the Caribbean for a week together! 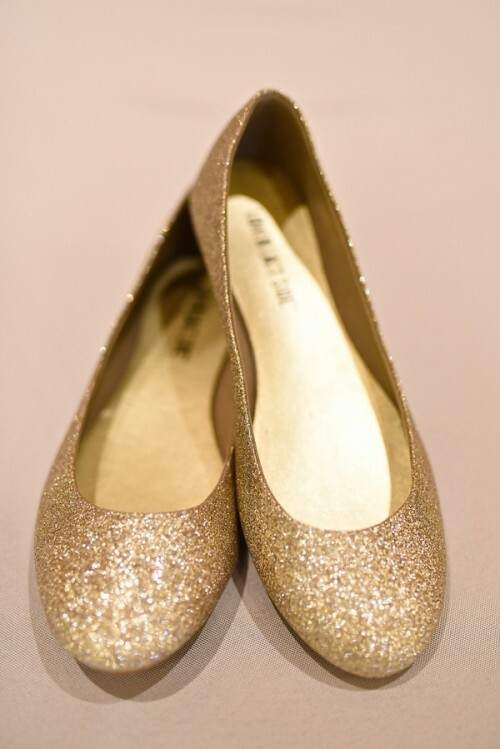 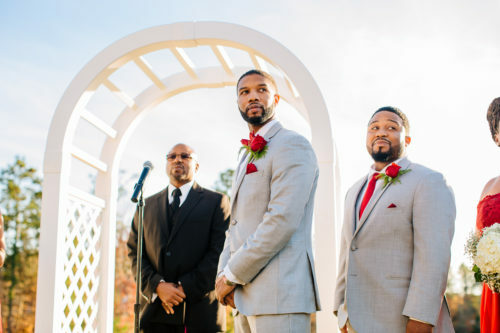 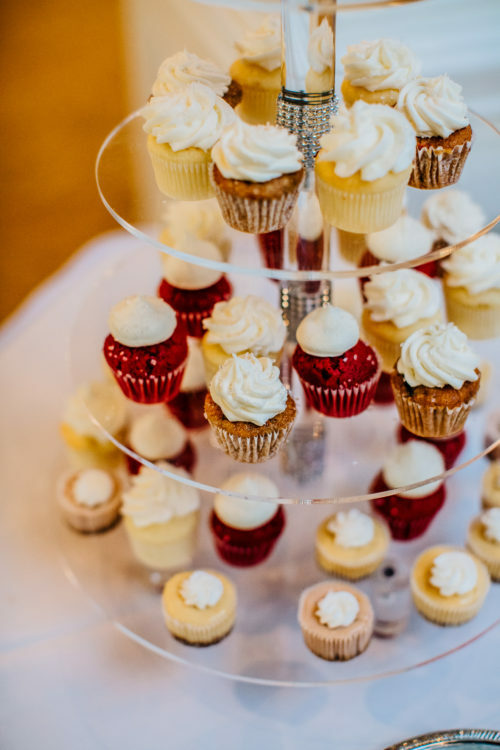 Melissa schemed up a master plan with some of her friends to surprise her husband she she walked down the aisle. 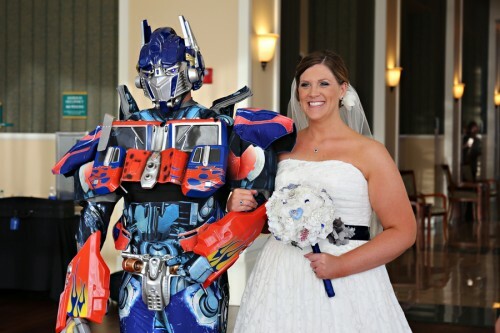 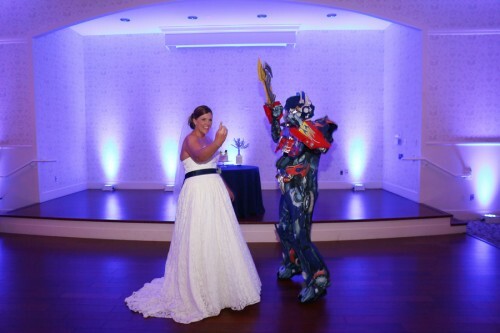 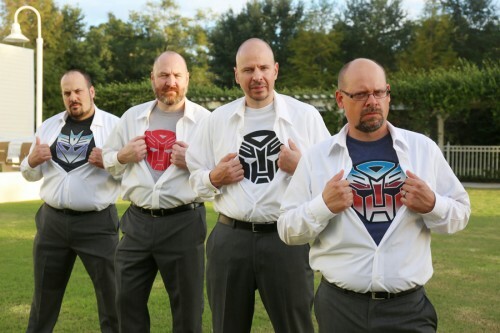 He is a huge Transformers fan, so Melissa asked who else but Optimus Prime to walk her down the aisle to meet her groom! 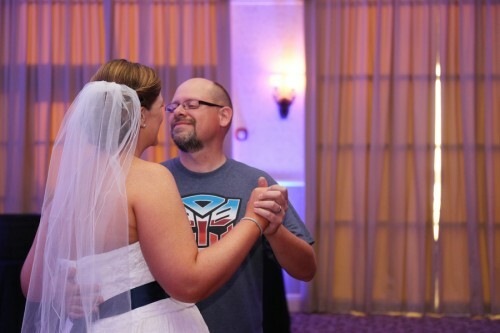 Check out all the awesome homage to the 80’s below, including some of their playlist – RADICAL!!! 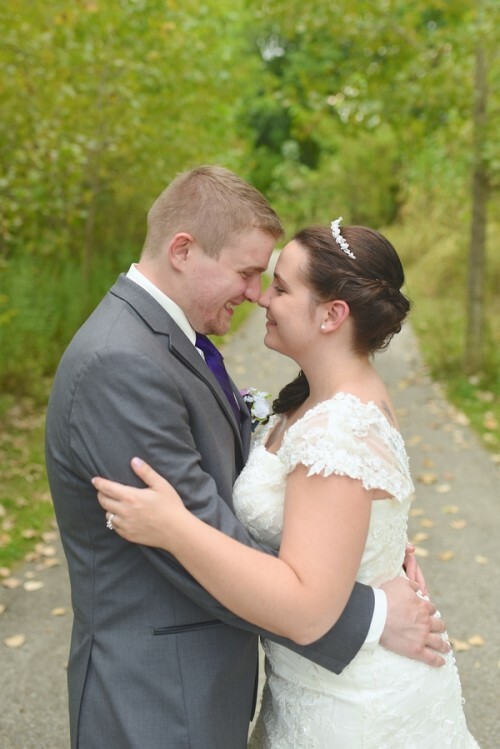 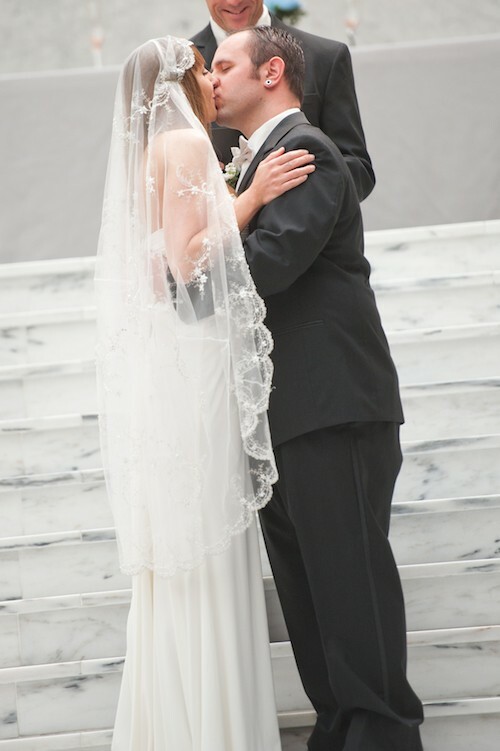 Madeline and Luke are high school sweethearts that tied the knot among family and friends at the Luminare Sky Deck! 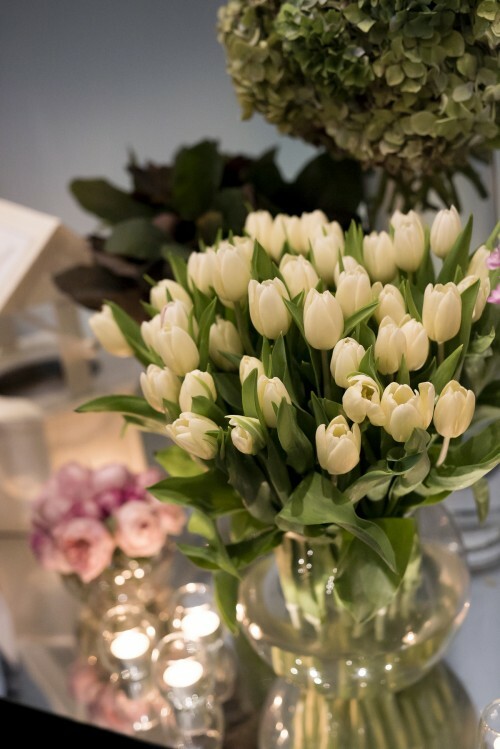 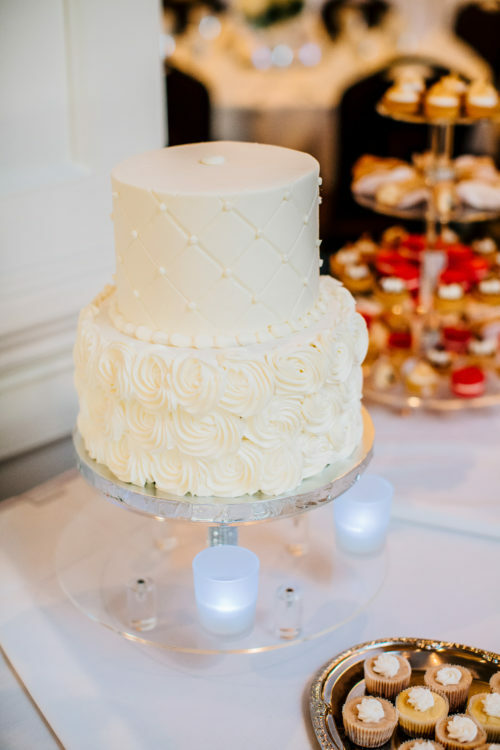 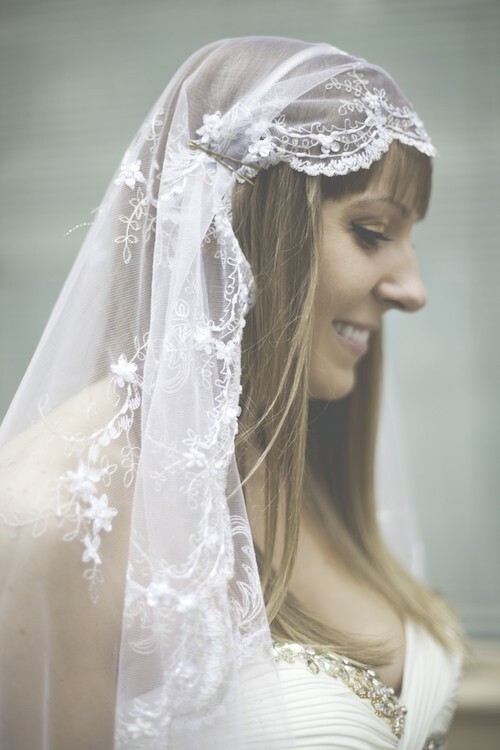 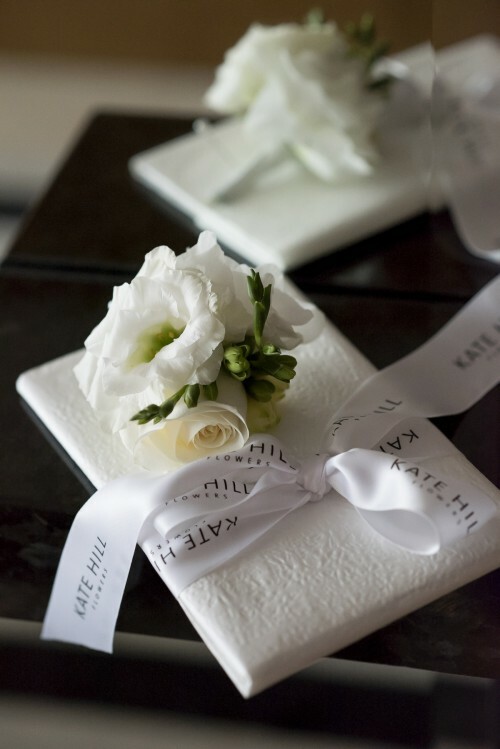 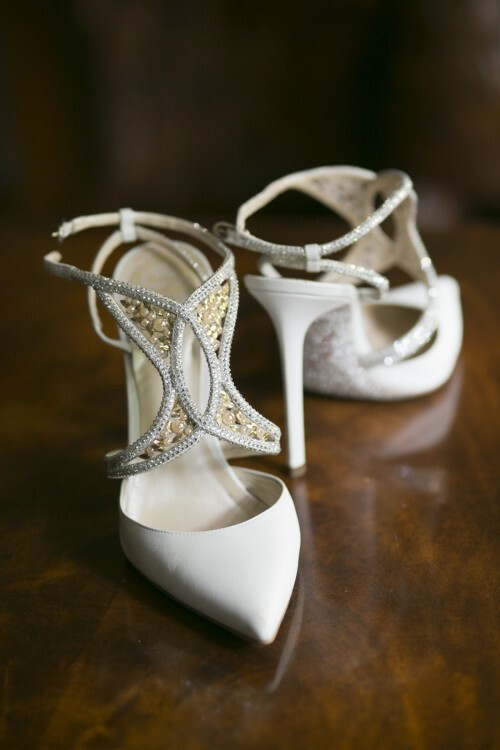 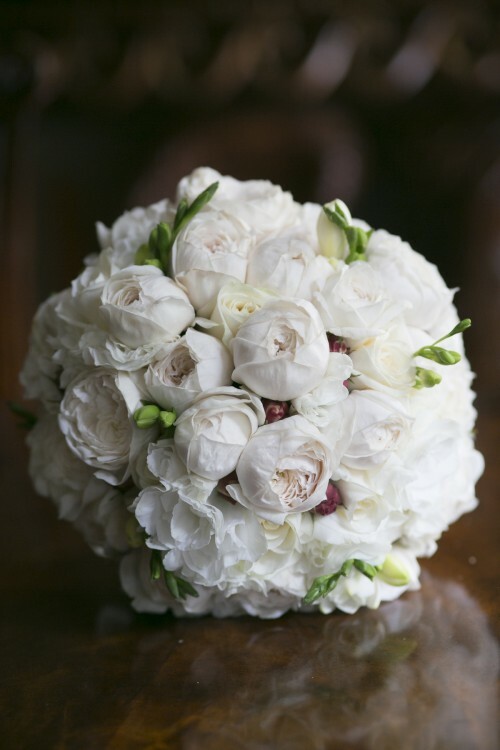 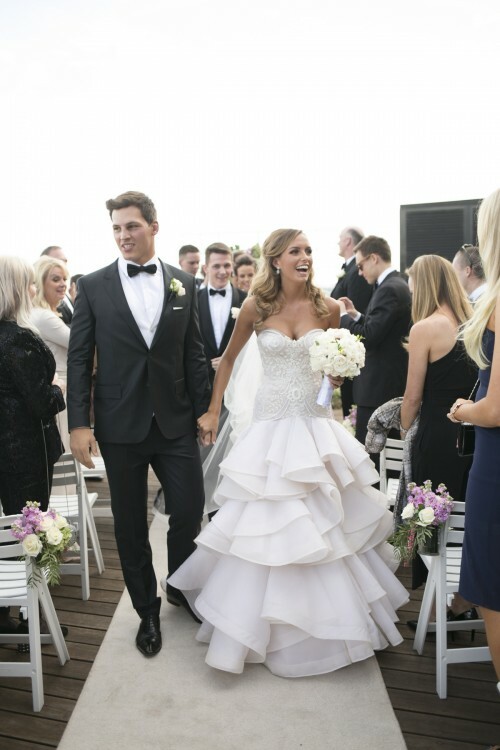 Madeline had the wedding of her dreams: timeless, elegant and classic with just a touch of glamour. 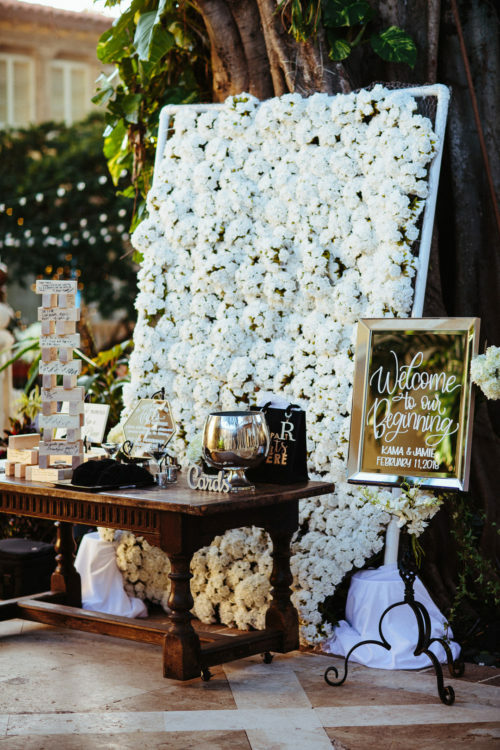 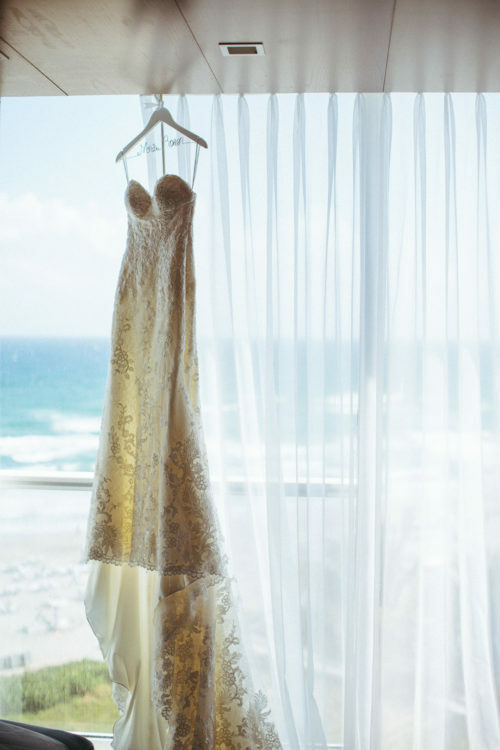 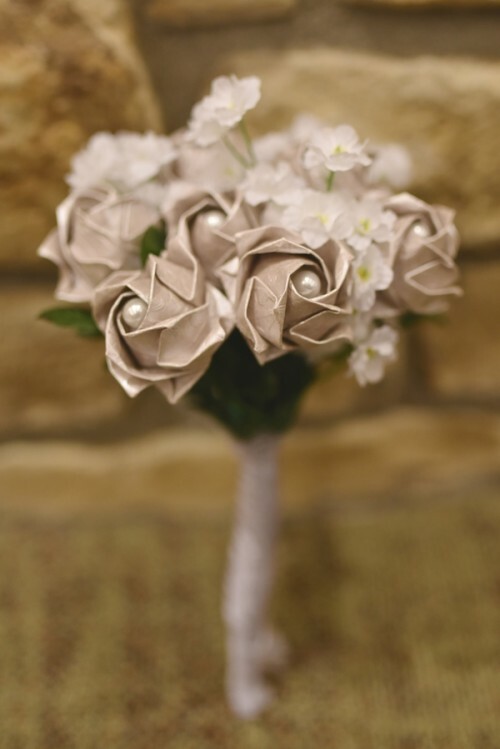 She had always envisioned having a traditional wedding with an understated but elegant and romantic theme. 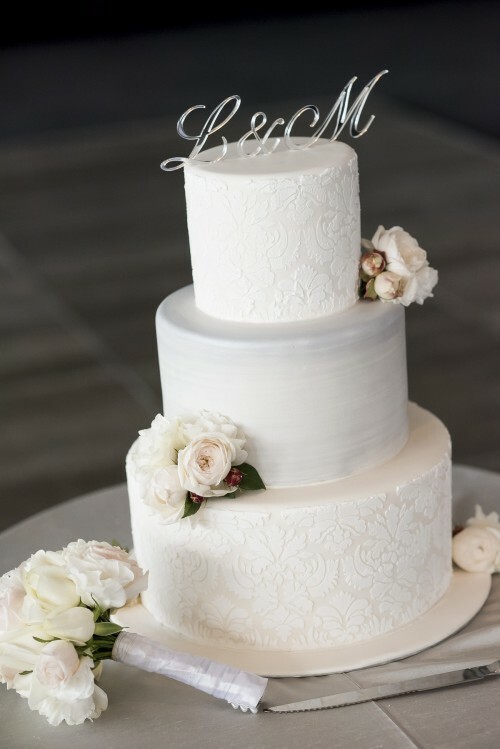 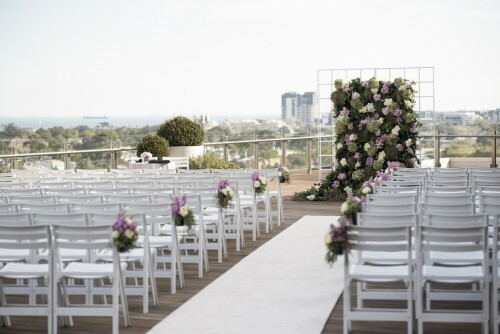 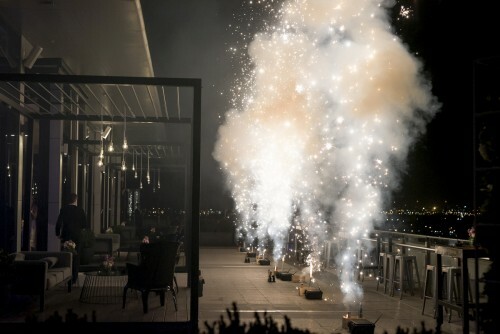 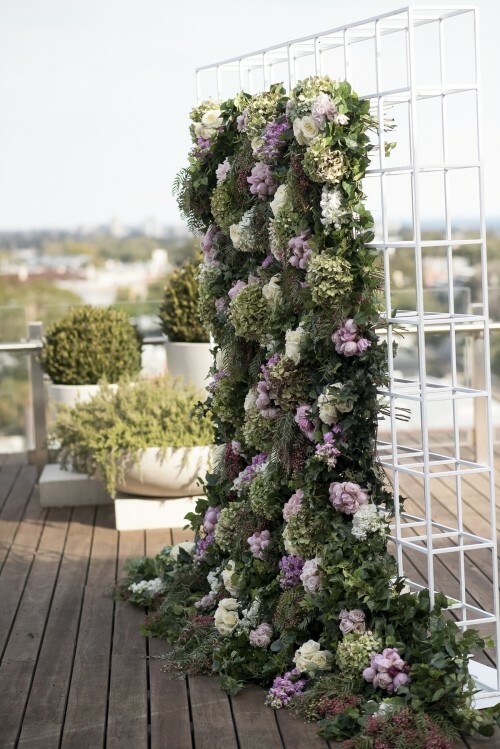 Luke and Madeline chose the Sky Deck as their venue after it took their breath away. 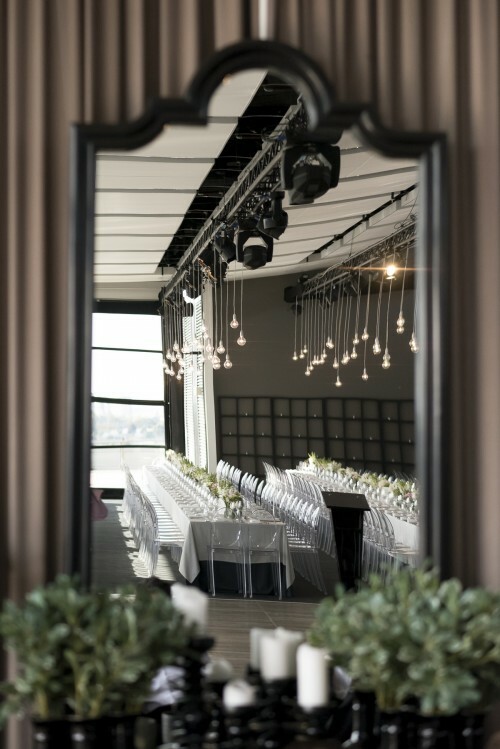 The skyline of the city was absolutely stunning and the gorgeous décor inside only complemented the stunning views outside. 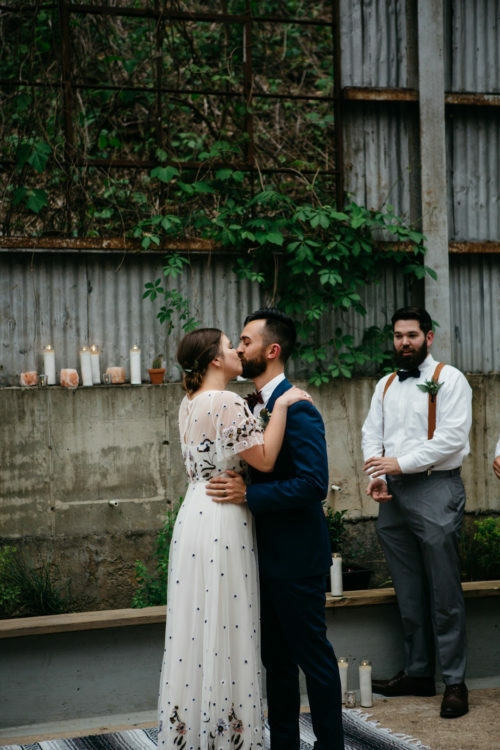 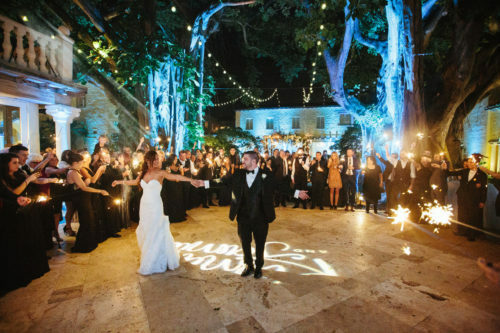 Guests mingled among the outdoors and the dance floor during Madeline and Luke’s celebration of love!